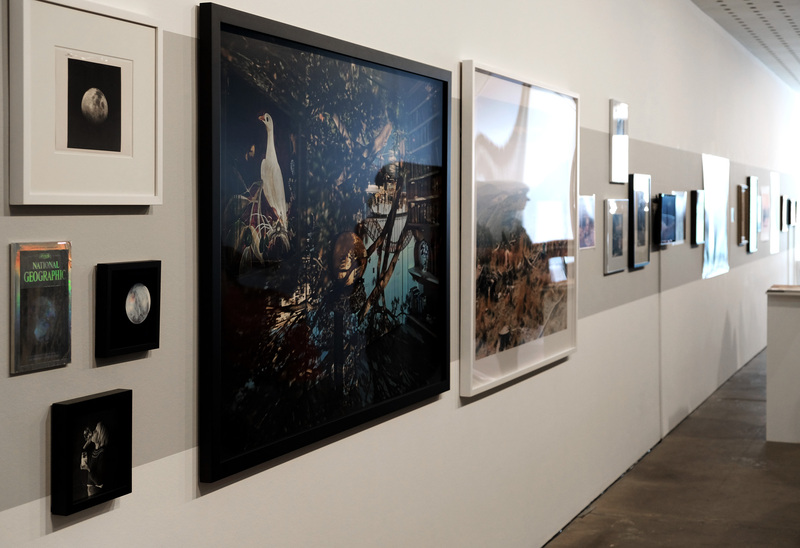 Artists: Danica Chappell, Peta Clancy, Eliza Hutchison, Megan Jenkinson, Justine Khamara, Paul Knight, Derek Kreckler, Luke Parker, Emidio Puglielli, David Rosetzky, Jo Scicluna, Martin Smith, Vivian Cooper Smith, James Tylor and Joshua Yeldham. Therein lies the rub. If you start such an exercise (the physical deformation of the surface of the print), without caring about the quality of the base image, then you are automatically starting from a bad position. 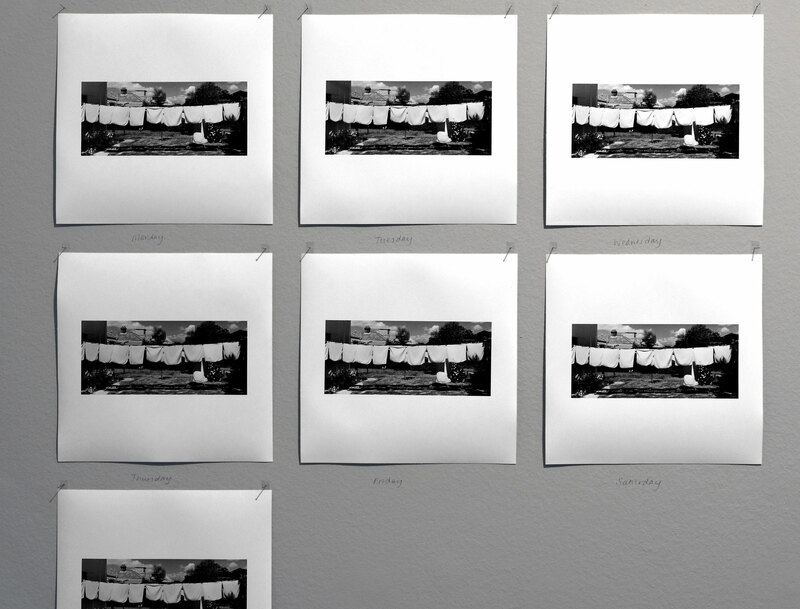 It’s like printing a black and white print from an underexposed negative. Further, much as many of these works are interesting conceptual exercises, most of them lead to emotional dead ends. A friend of mine has a good analogy: imagine standing on a bridge with a fast running stream flowing underneath, and dropping a pebble off the bridge. And then another, and another. 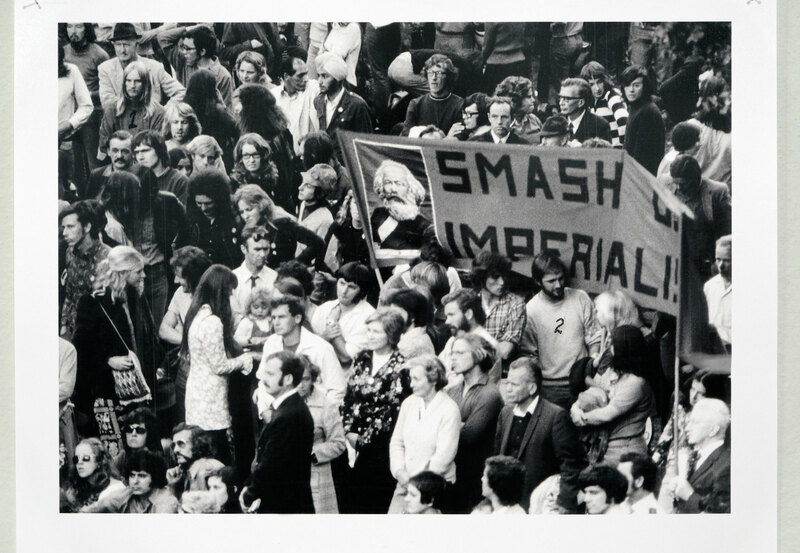 Unless they cluster around each other to form an ongoing enquiry by a group of people – such as Australian women’s hand-coloured photography of the 1970s – INTO ONE IDEA (in the 1970s it was feminism and the urban environment), then they will be washed away. 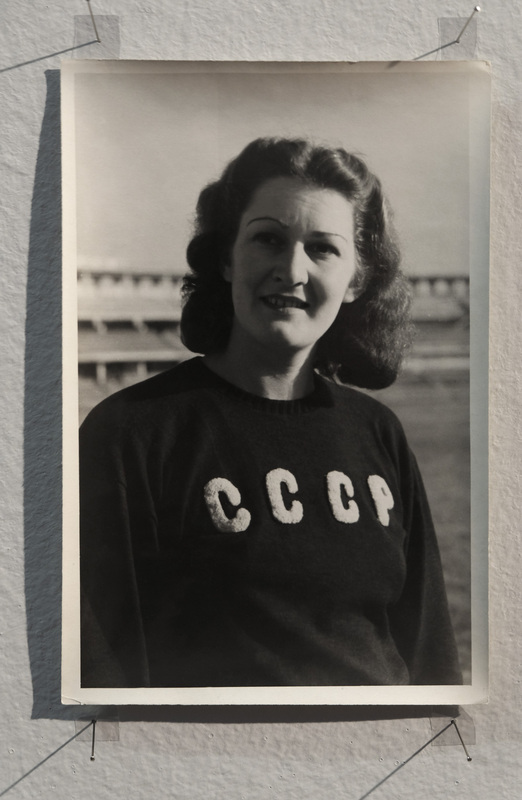 And this is the feeling I get from this exhibition: every idea possible is up for grabs (in an earnest kind of way), but nothing sticks memorably in the mind. That is the world in which we live today. 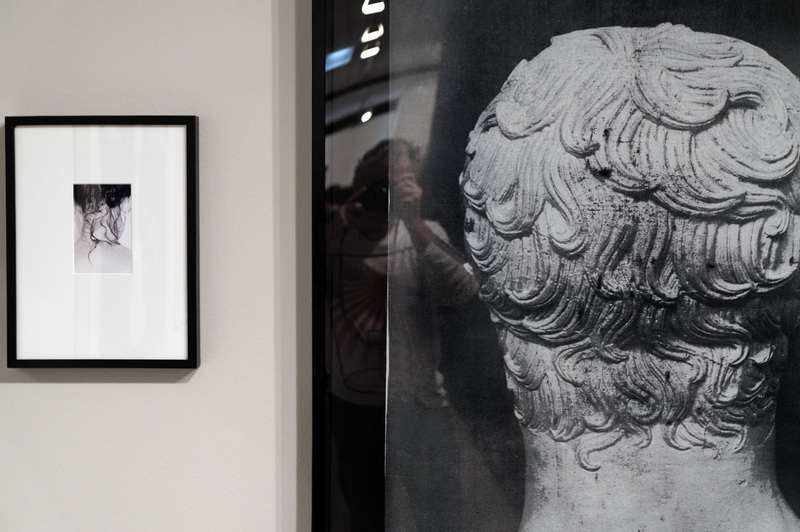 To my mind the best work in the exhibition is the simplest and most eloquent. 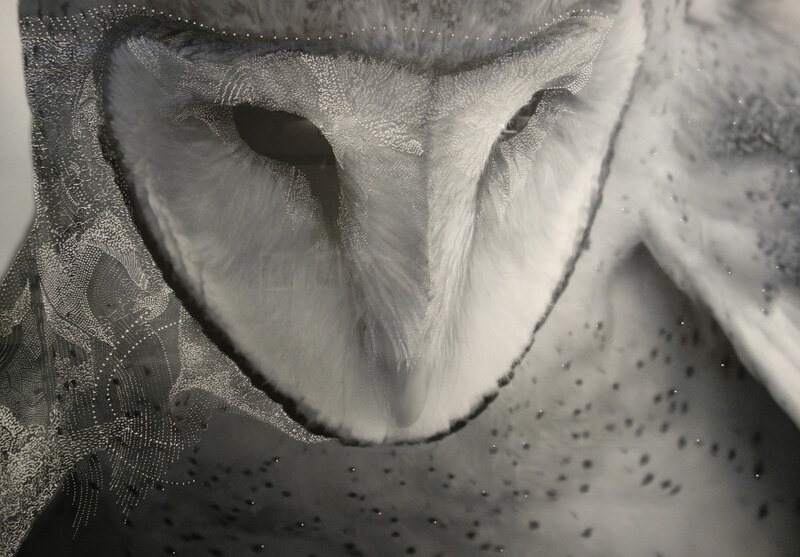 Out of Joshua Yeldham’s trio of images, it is Owl of tranquillity (2015, below) which is the standout. The base image is beautiful and the careful incision work just adds to the magical resonance of the image. A truly knockout piece that would be a joy in any collection. 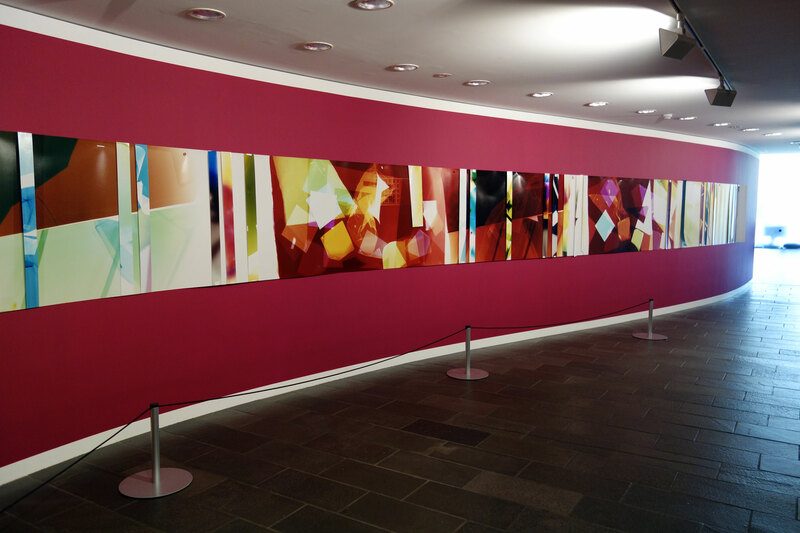 The other two works suffer from the base image being taken on a mobile phone… the quality of the image is just not there to start with, and to then print and work the image at such great scale (see installation images below) means both images tend to loose cohesiveness. You can get away with it once, but not three times. 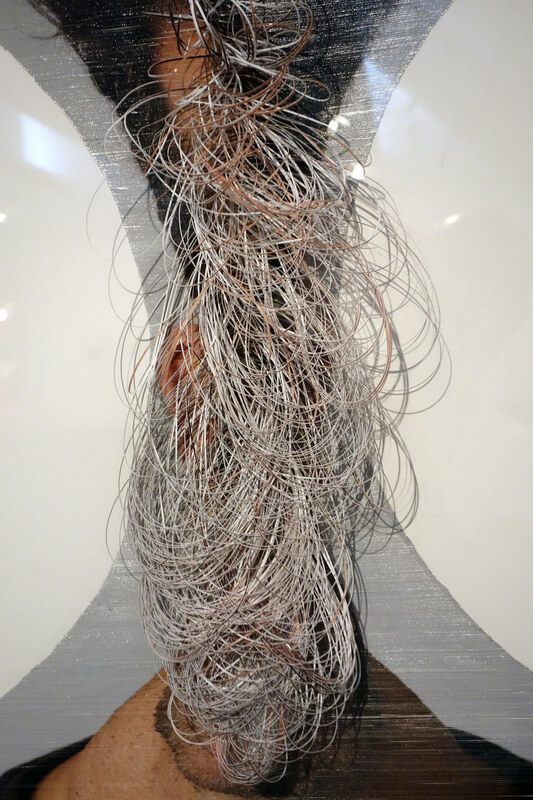 I also very much liked the concept and execution of the installation by Jo Scicluna (below). 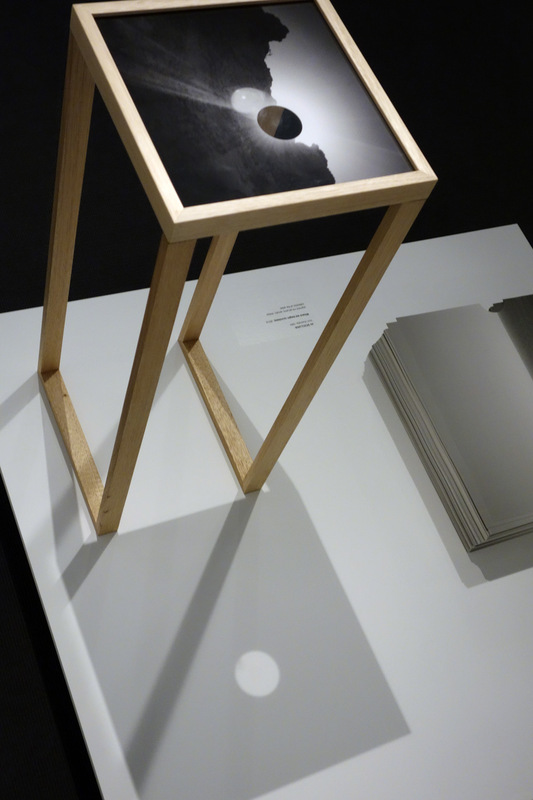 The photographs were well printed, the alterations intellectually and visually challenging, the framing and construction of the installation effective with the use of wood and shadow, and the whole had a wonderful resonance in the corner of the gallery. Plus you got a free poster of the work to take away with you! 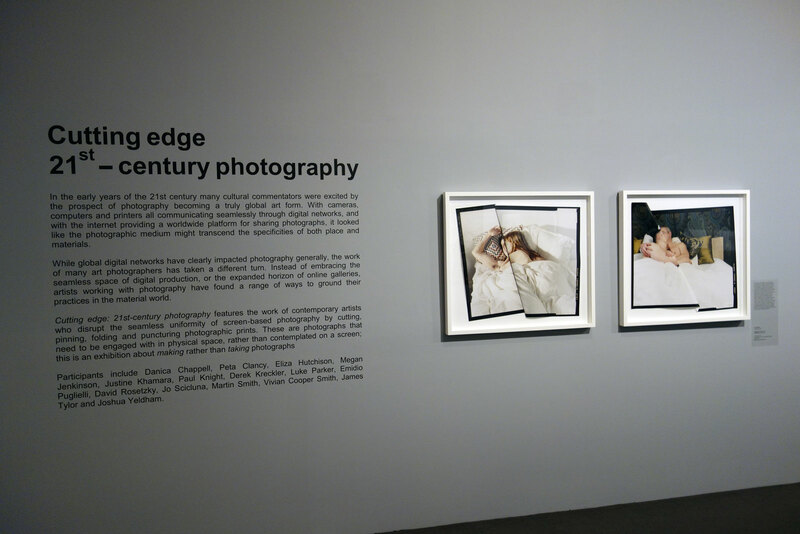 Many thankx to the Monash Gallery of Art for allowing me to publish the photographs in the posting. Please click on the photographs for a larger version of the image. 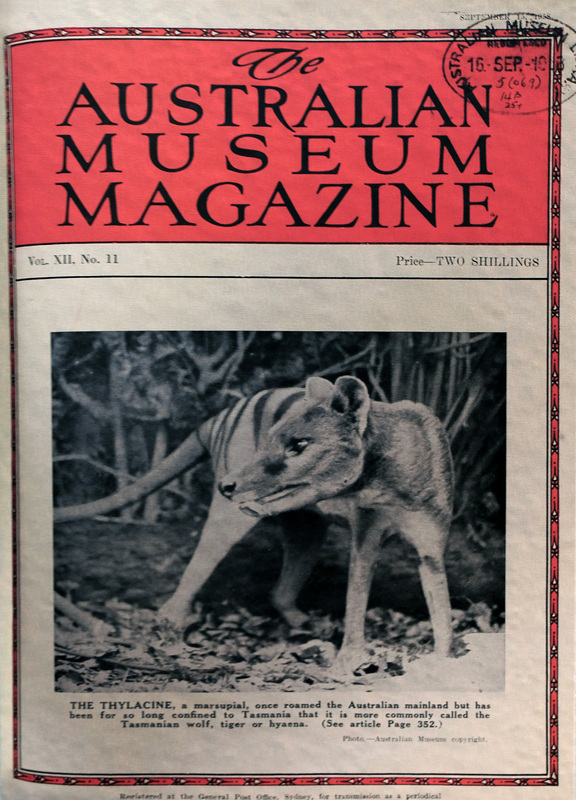 All text from the Monash Gallery of Art. 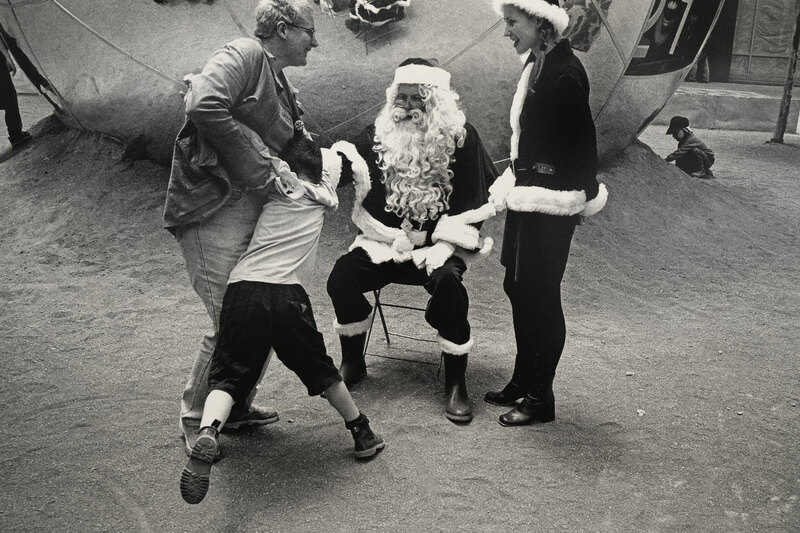 “In the early years of the 21st century many cultural commentators were excited by the prospect of photography becoming a truly global art form. 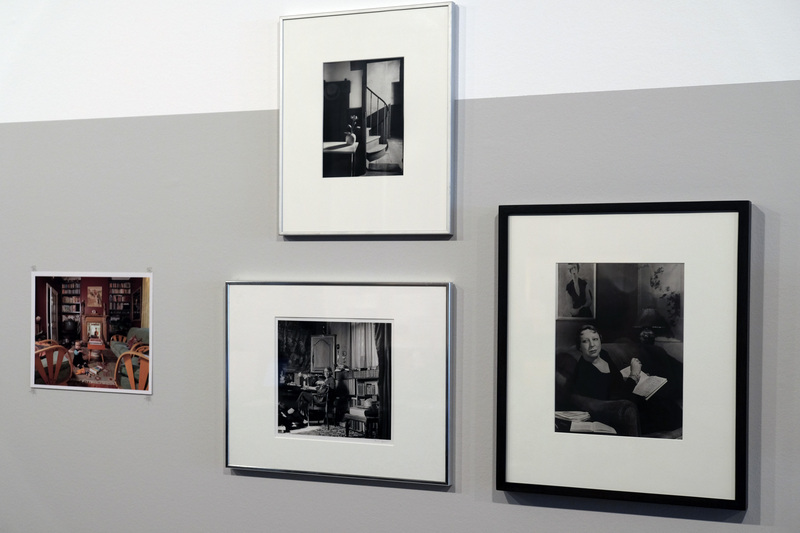 With cameras, computers and printers all communicating seamlessly through digital networks, and with the internet providing a worldwide platform for sharing photographs, it looked like the photographic medium might transcend the specificities of both place and materials. 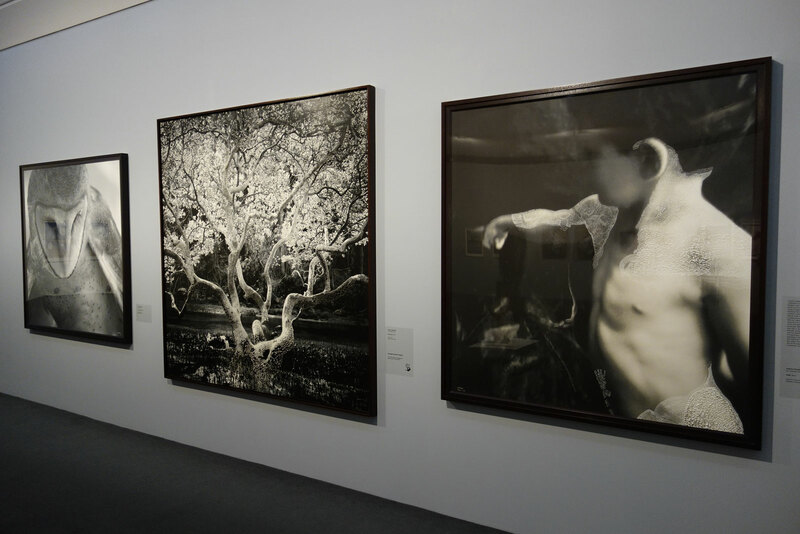 While global digital networks have clearly impacted photography generally, the work of many art photographers has taken a different turn. 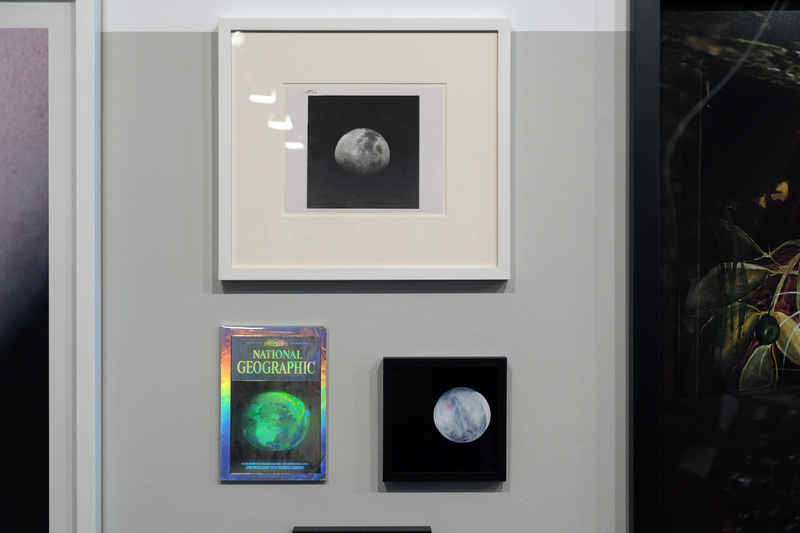 Instead of embracing the seamless space of digital production, or the expanded horizon of online galleries, artists working with photography have found a range of ways to ground their practices in the material world. Danica Chappell‘s practice belongs to a long artistic tradition of visual abstraction, which rejects representation in favour of sensual and experimental processes. 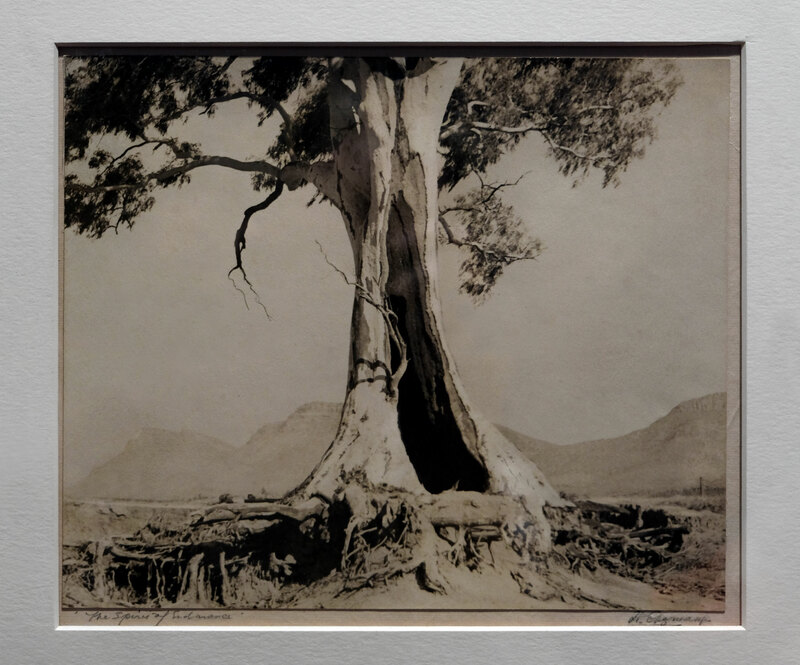 While this tradition is dominated by painters, Chappell employs the light-sensitive chemistry of traditional photography to generate her images. 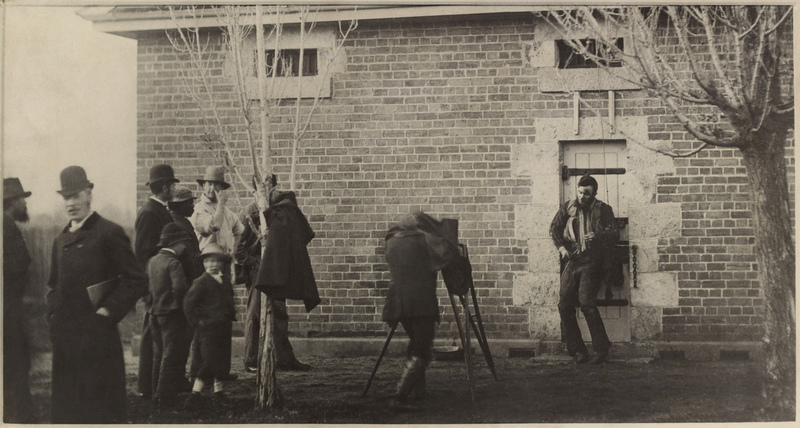 Even though Chappell’s practice can be described as ‘photographic’, she doesn’t use a camera to produce her work. 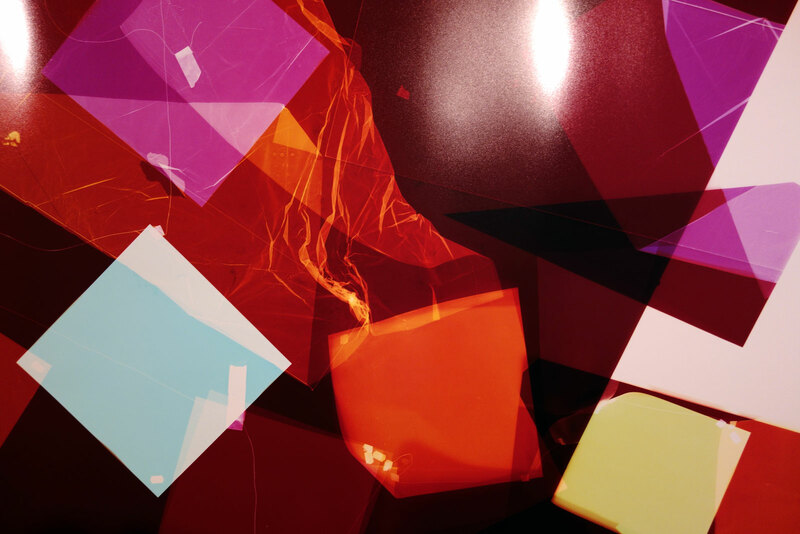 This helps turn photography into something abstract, rather than representational, but it also allows Chappell to distance herself from the ‘instamatic moment’ and foreground an extended process of creative intuition with colour and form. 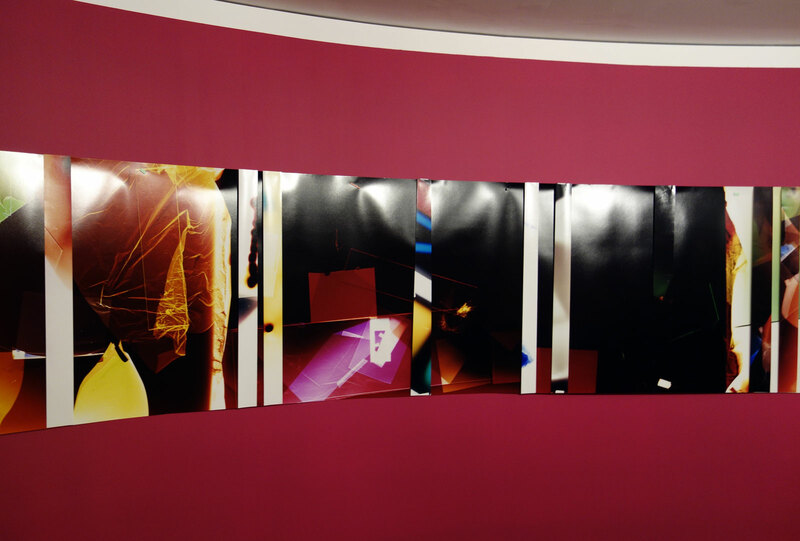 The work being exhibited here, Light shadow (5 days + 5 hrs in 8 parts + test strips), was created in a colour darkroom over several hours. Approaching this as a type of unseeable performance, Chappell arranged and rearranged scraps of paper and other off-cuts on the light sensitive paper while exposing it to light for different periods of time. 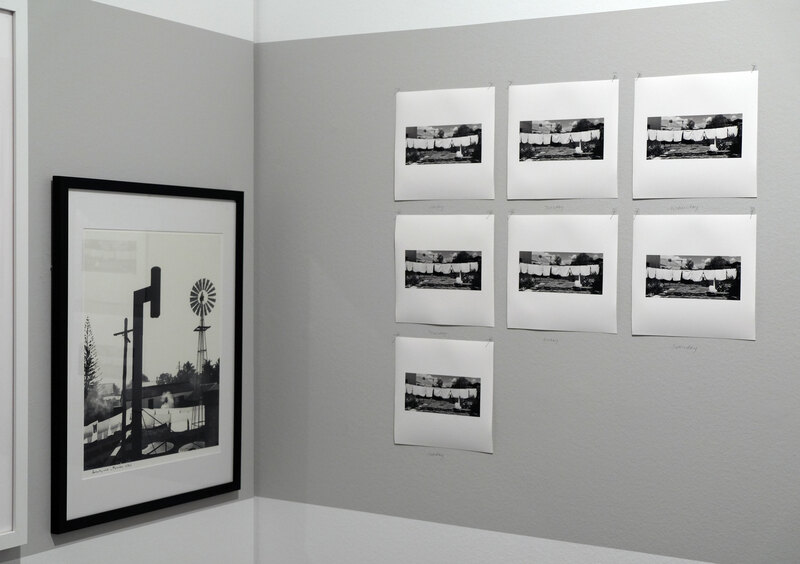 Chappell’s final installation of this work incorporates test strips, which have been placed at intervals over the print. The test strips, which were integral in the making of the work, interrupt the fl ow of the underlying print, adding an extra layer of abstraction and temporality. 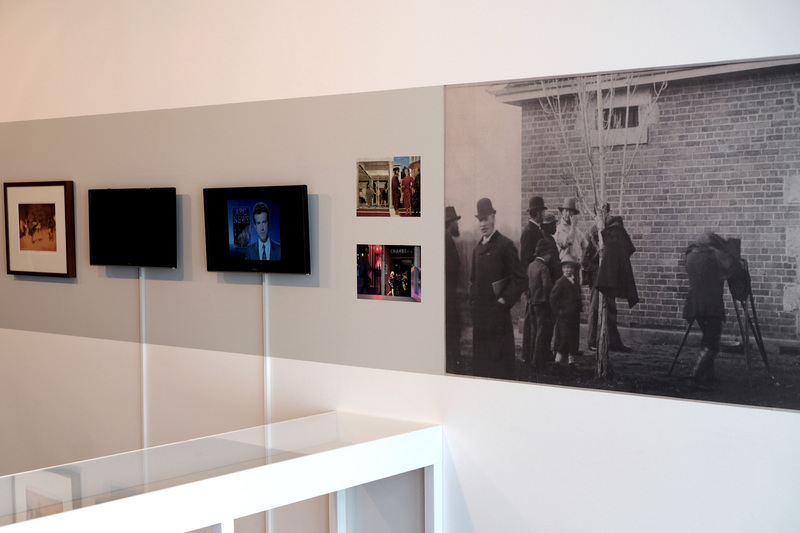 David Rosetzky‘s practice encompasses a range of media, including video and photography, and typically explores themes of identity and interpersonal relationships. Throughout his career, Rosetzky has created photographic series and has periodically returned to work on photographic cut-out and collaged portraits. To produce these images, Rosetzky creates cool studio portraits of young models, referencing the style of photography found in advertising and fashion magazines. 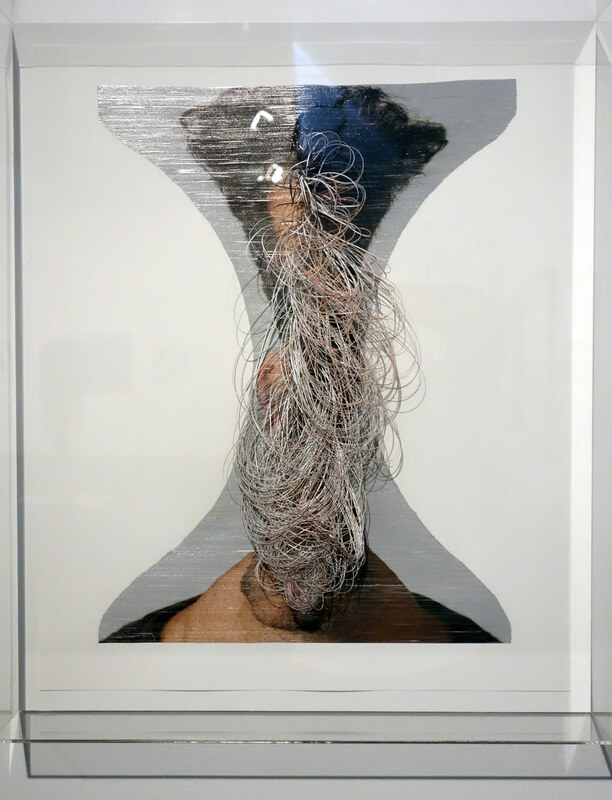 He then layers as many as three photographic portraits on top of each other before hand cutting sections to reveal parts of the underlying prints (above). Through these works Rosetzky represents his subjects as being multi-layered and highlights the idea that identity is fragile, changeable and often concealed. 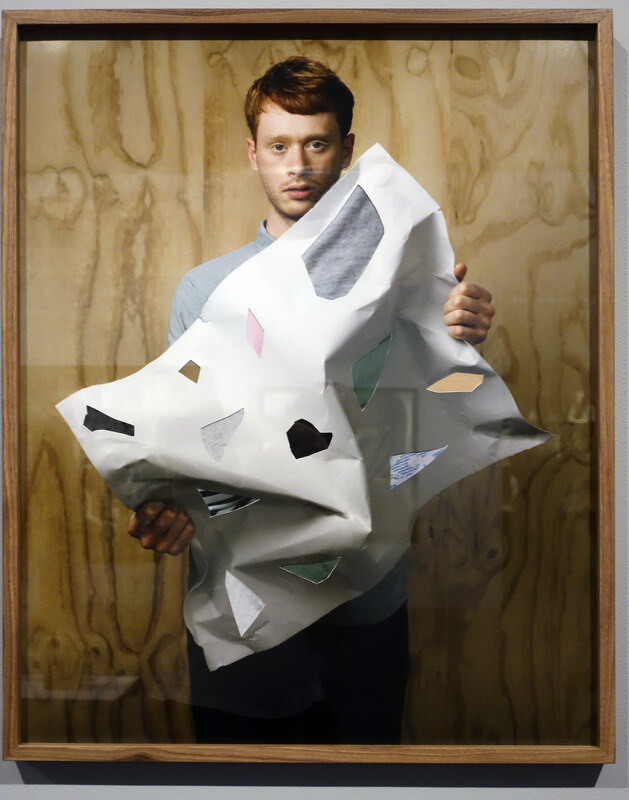 The crumpled paper, represented in his more recent portraits (below), suggests that surfaces are dynamic thresholds rather than superfi cial masks. 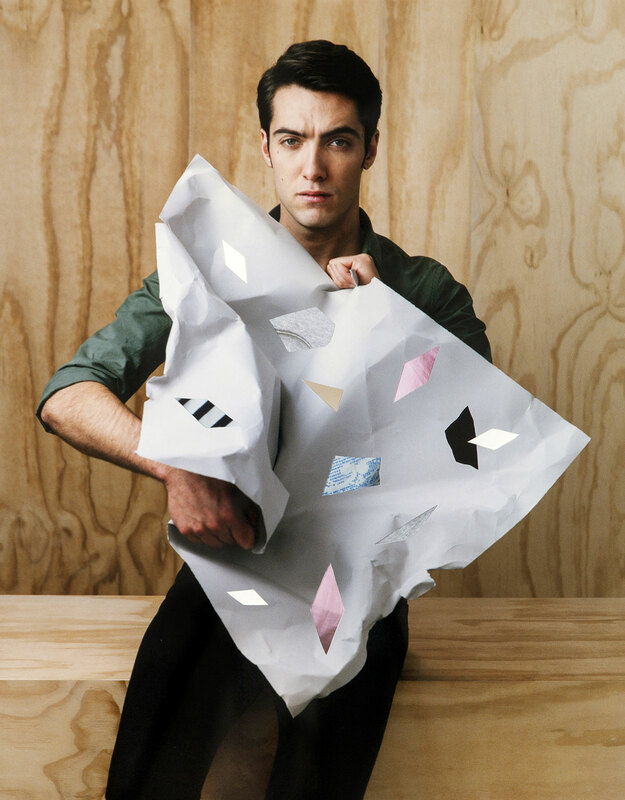 Used in a photographic context, the crumpled paper can also be seen as a reference to photography’s power to transform and elaborate a person’s social identity. 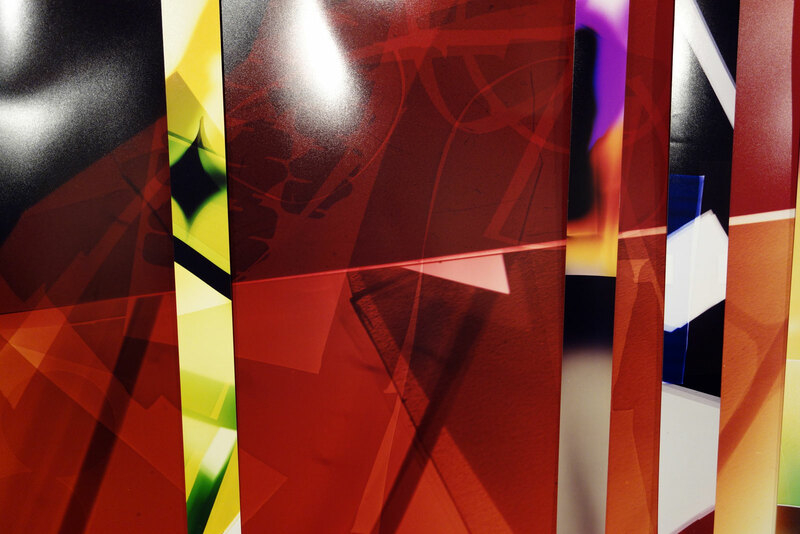 Megan Jenkinson began working with lenticular printing technologies in 2007. 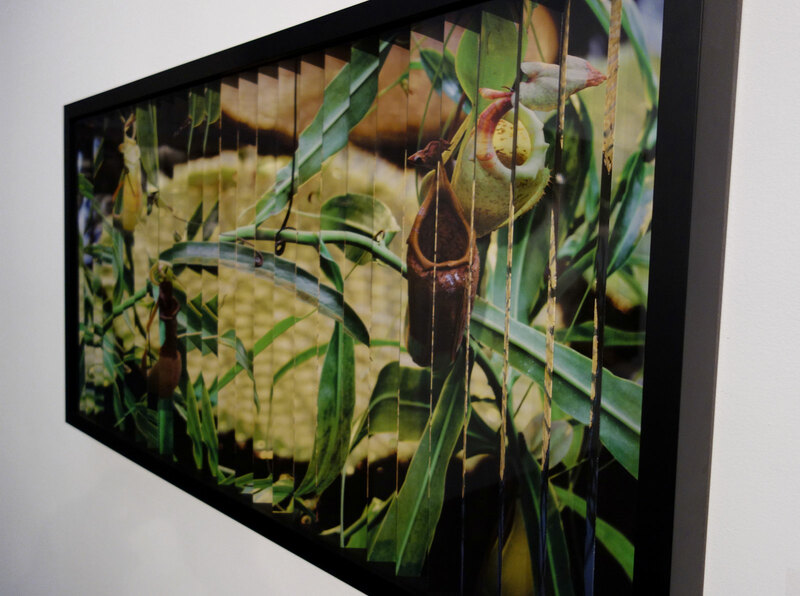 Lenticular printing combines multiple still images to give the impression of movement and three-dimensionality. 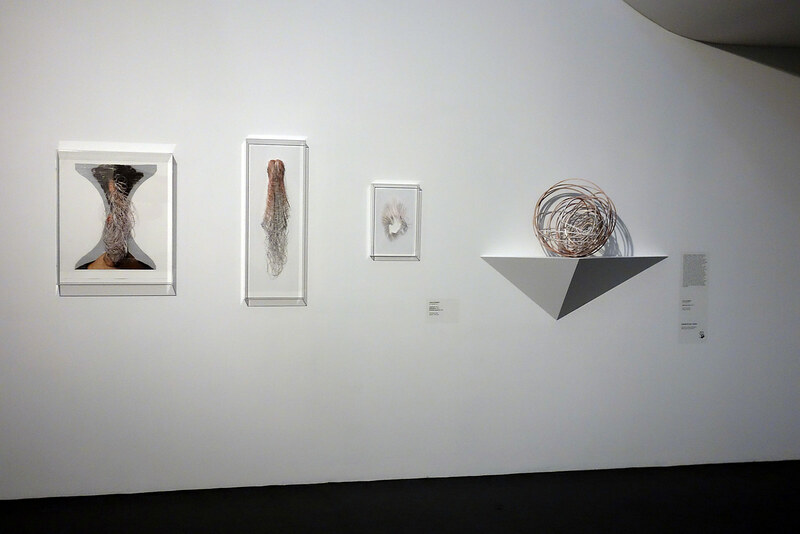 The work on display here is from Jenkinson’s Transfigurations series, which employs a handmade form of lenticular photography to evoke the transience of the natural world. 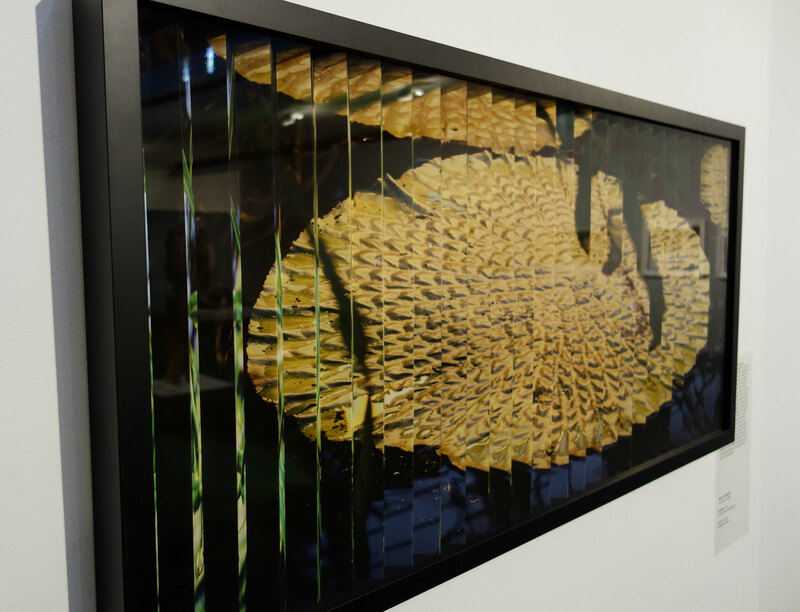 This large-scale image of water foliage is composed of two separate photographs that have been digitally spliced together and printed on a single sheet of paper. 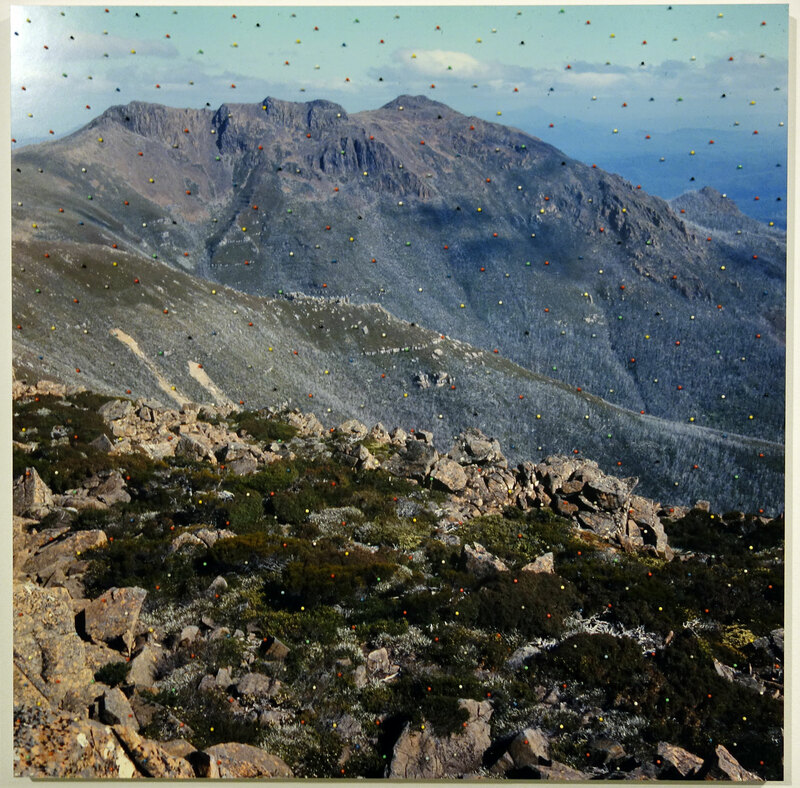 The artist has then hand-folded the photograph to create a concertinaed surface that can only be seen in its complete form when viewed from multiple angles. 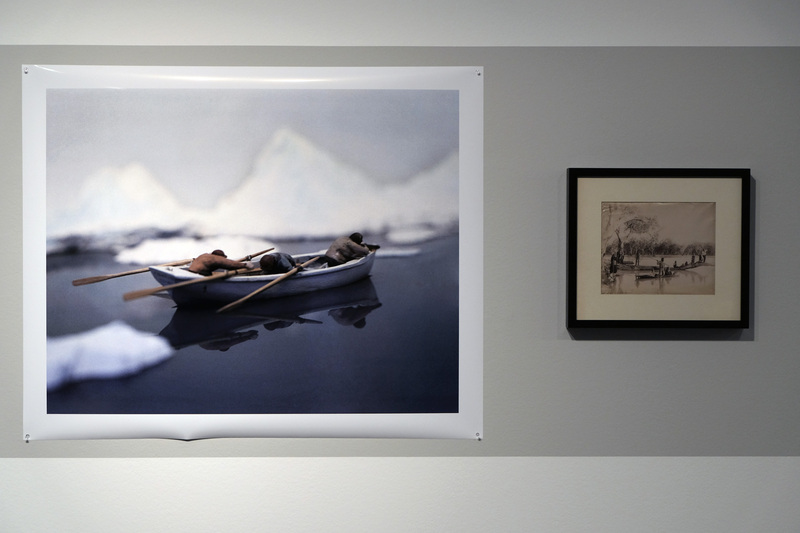 As a consequence, viewers need to physically interact with the photographic object, walking from side-to-side in order to experience the artwork. 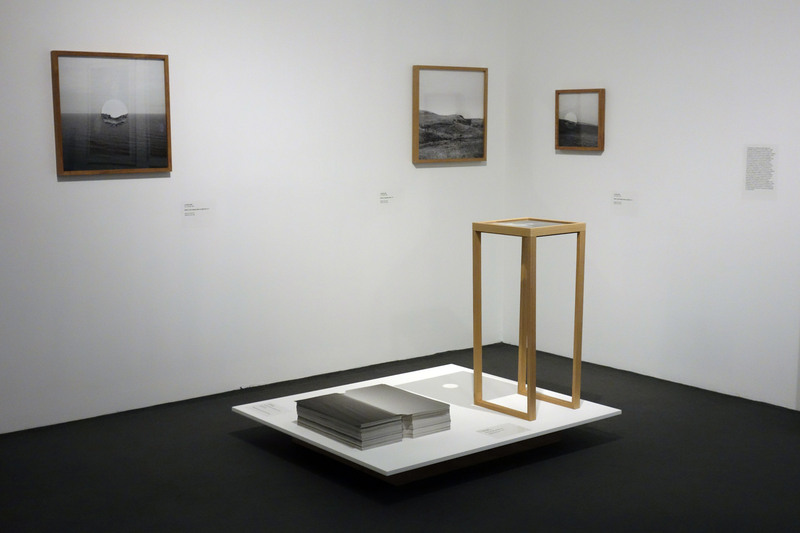 This form of photography disrupts traditional expectations of two-dimensional photography and introduces a tactile aspect to digital production. 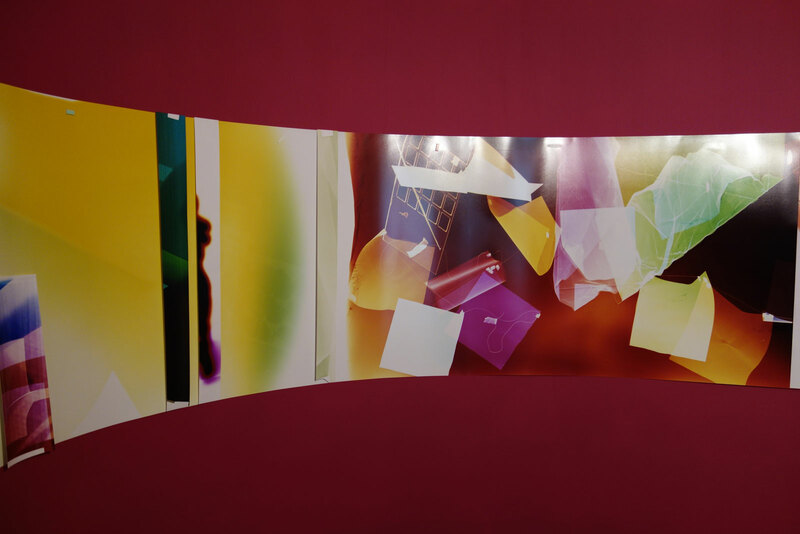 In a world where photographs are often viewed on screens, Justine Khamara is interested in the physicality of the photographic surface and how this affects the meaning of an image. 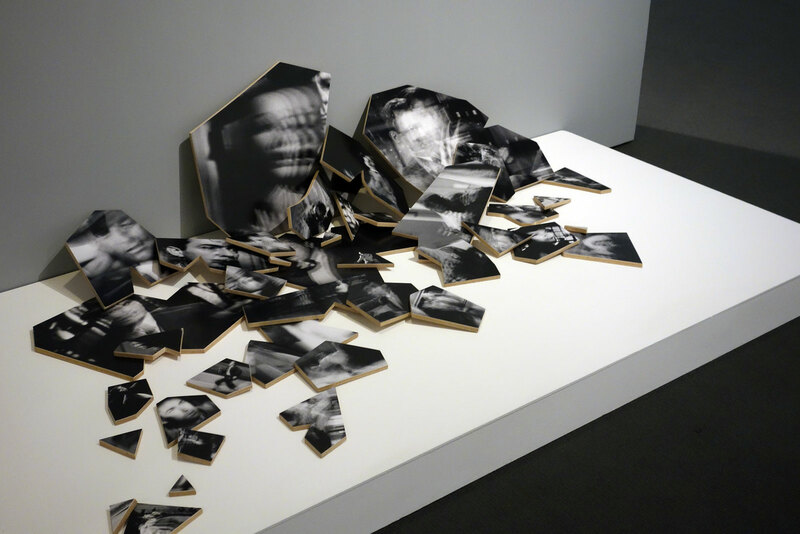 Her works begin as two-dimensional photographic portraits, which she then sculpts into three-dimensional forms that protrude from walls or stand alone in exhibition spaces. 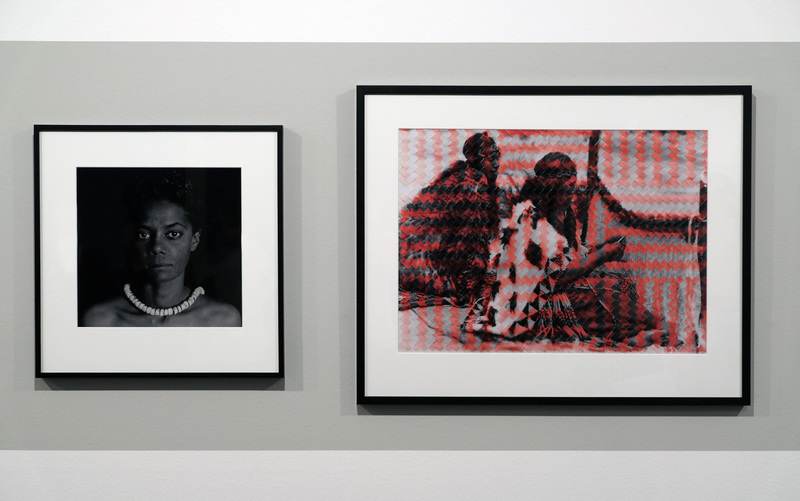 To create these works, Khamara cuts her photographic prints, either by hand or using a laser cutter. 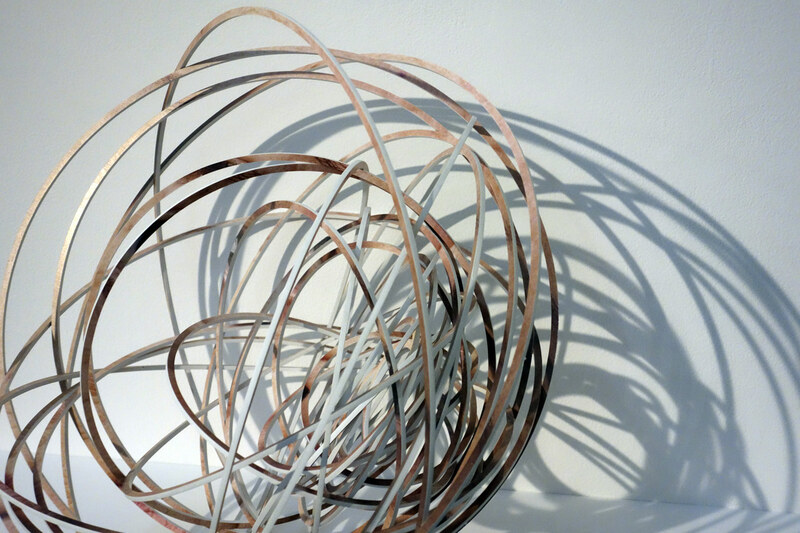 She then manipulates the intricately shredded surfaces by hand to give them a sculptural form. 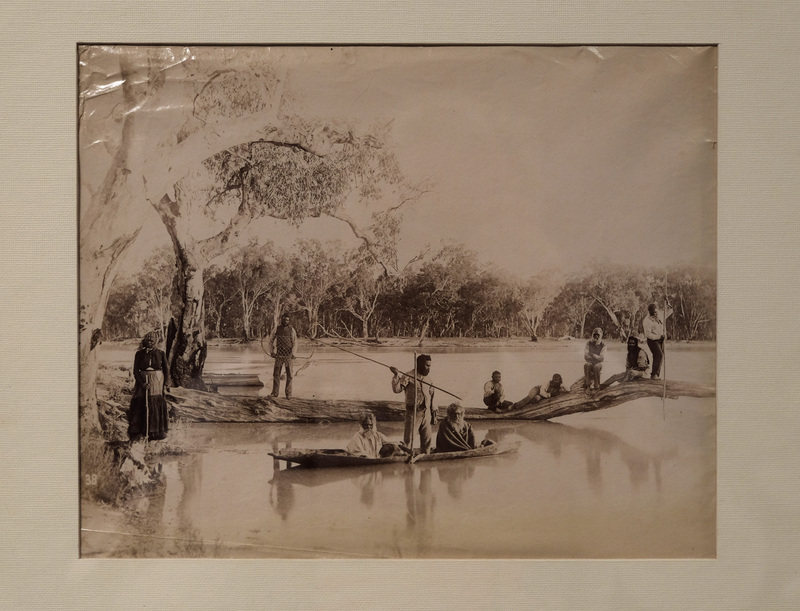 This involves an array of different techniques, such as adhering part of the photograph to a backing board and allowing the filleted paper to hang loosely from the top. 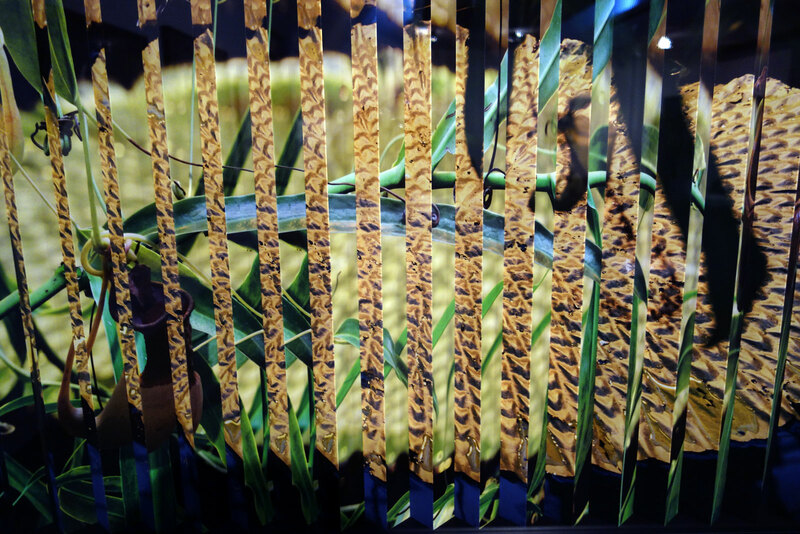 In other instances she pulls and weaves the segmented photograph to create more purposeful geometric shapes. 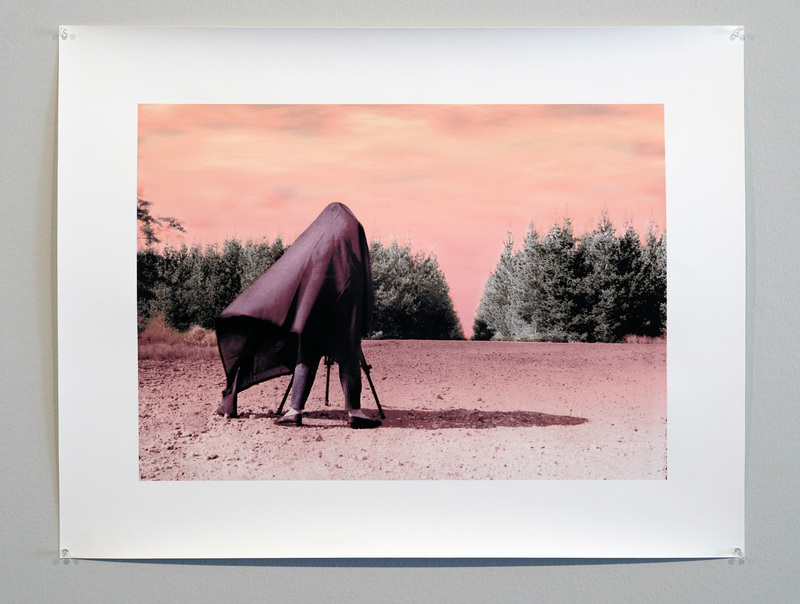 By working in this way, Khamara invests the photographic still with a sense of movement and playful elaboration, which effaces the mechanical nature of photographic reproduction. 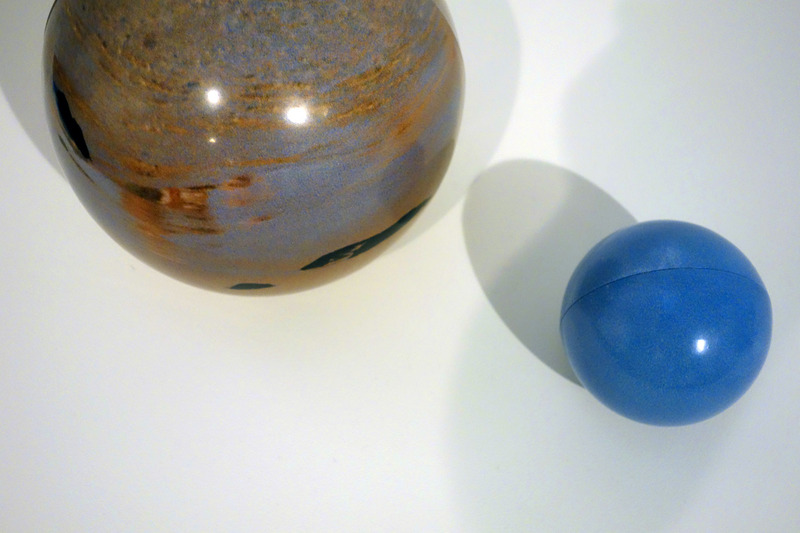 Luke Parker works across a range of media, his practice is largely concerned with giving a sense of metaphysical weight to everyday events and chance encounters. 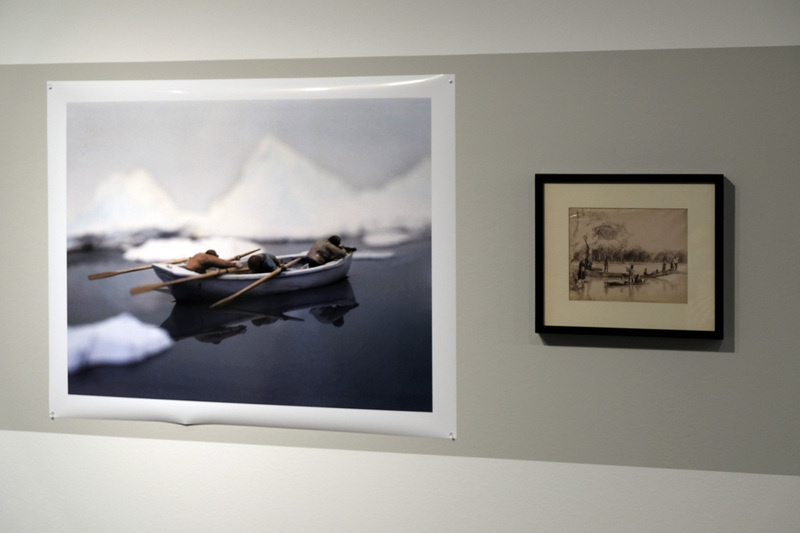 The works on display here are made up of Parker’s own photographs combined with found images that he has collected over the past 20 years. To create these works, Parker categorised seemingly disparate images according to formal patterns and poetic associations. He then arranged the images onto a unifying background and used a needle and thread to stitch them into a type of artistic circuit board. 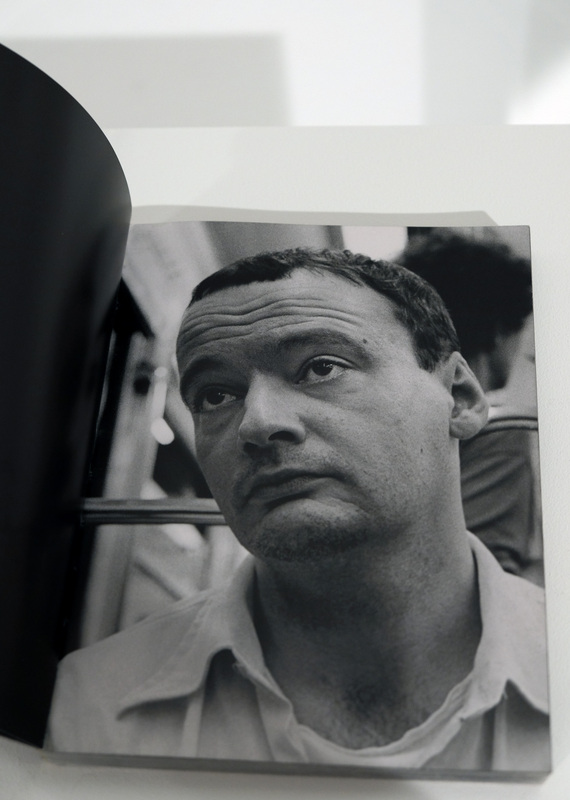 Parker created this series as a way of making sense of his own image archive as well as the proliferation of images encountered in everyday life. 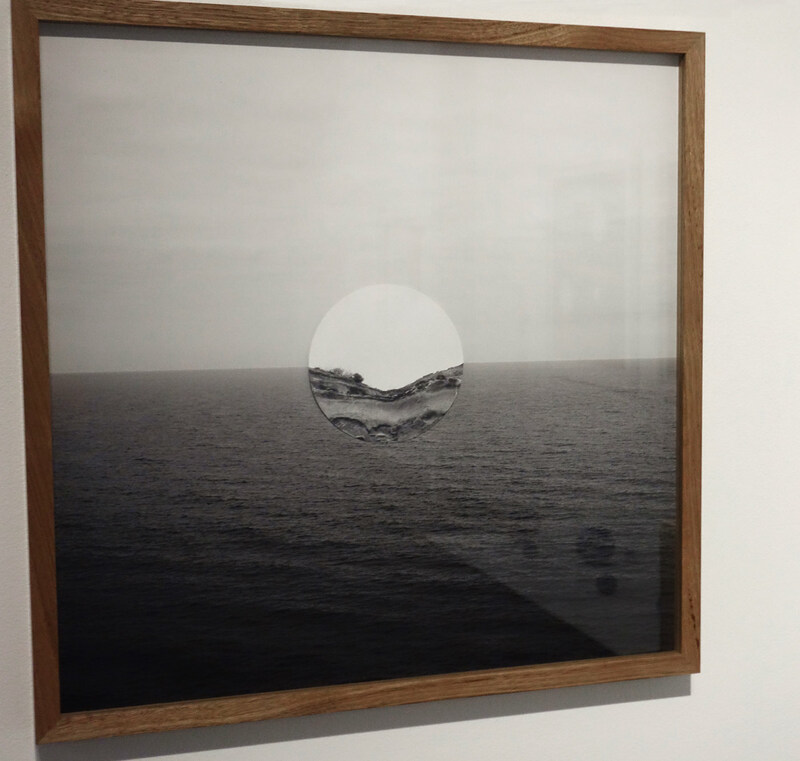 In a world where images are increasingly set adrift from specific economies of meaning, to circulate freely through digital networks, Parker’s works function as conceptual nets that encourage viewers to think about photographs rather than just watch them pass by. 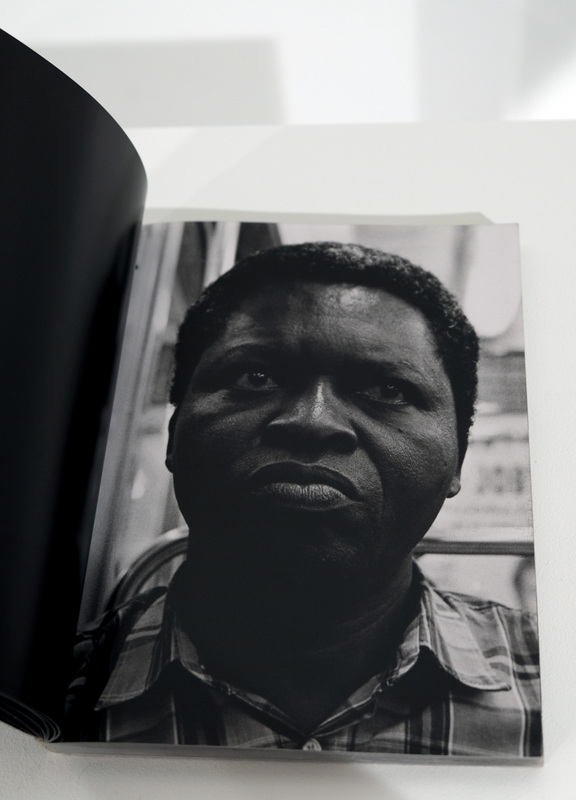 Martin Smith‘s practice revolves around the integration of photography and text. 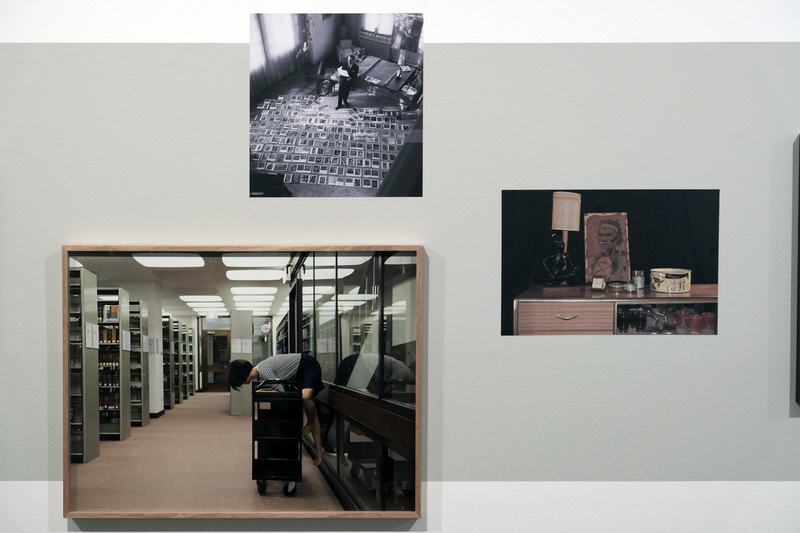 Using photographs that have been recovered from family albums or personal archives, Smith incorporates texts into the visual fi eld of the image. The texts, which have no obvious relationship with the content of the photographs, recall personal memories or lyrics from popular songs. 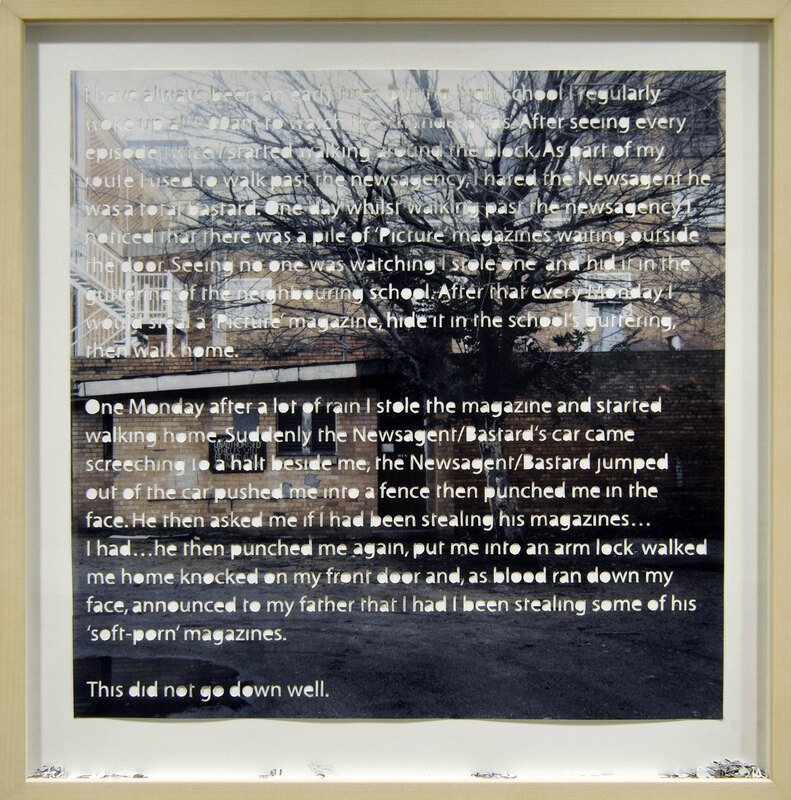 To incorporate the texts, Smith hand-cuts letters out of the photographic prints, often leaving the letters scattered beneath the image. 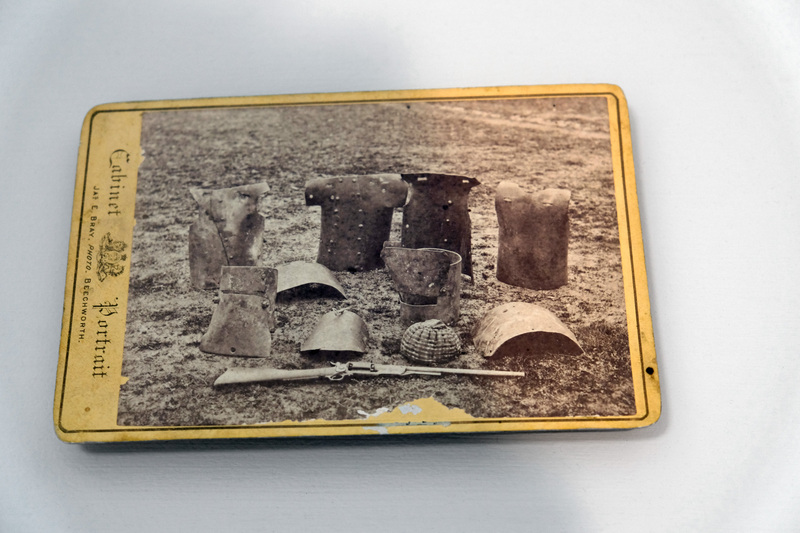 The disconnect between the text and the image is a deliberate attempt to combine two discrete methods of storytelling – image and text – while also emphasising the way memories of an event are usually different from the original experience. 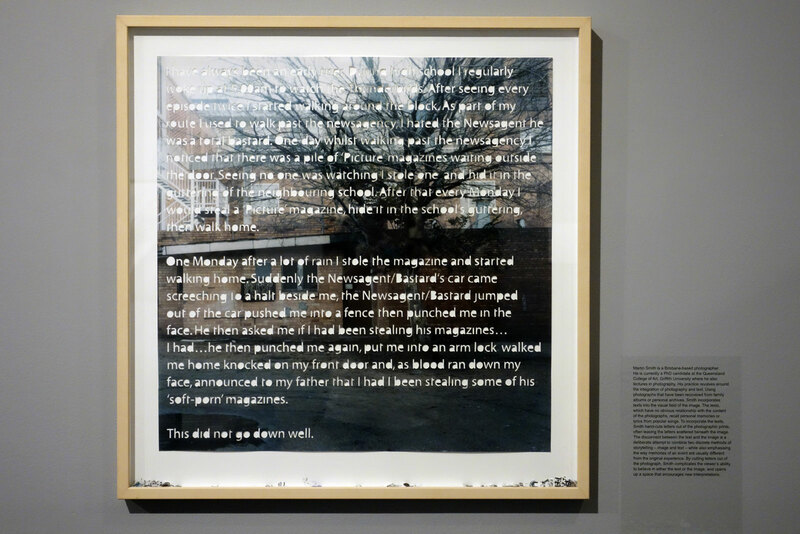 By cutting letters out of the photograph, Smith complicates the viewer’s ability to believe in either the text or the image, and opens up a space that encourages new interpretations. Paul Knight‘s style of his photographs is influenced by his background in commercial photography; they are technically proficient and almost illustrative in their documentary clarity. These cool formal qualities, however, are unsettled by the subject matter, which is often about private desires and passions. 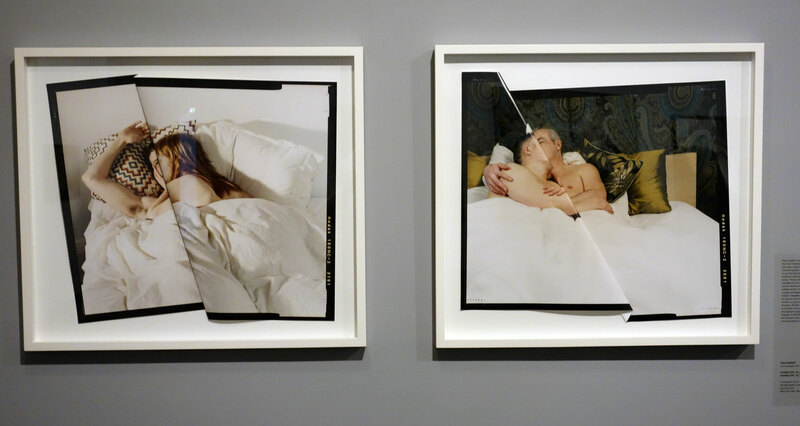 Knight’s 2010-11 untitled series of folded photographs document couples embracing in bed. 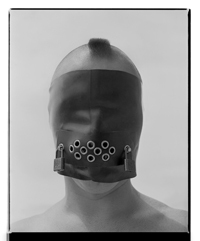 The series reflects Knight’s broader interest in photographing moments of candour and intimacy between lovers, which remains a preoccupation of his practice. 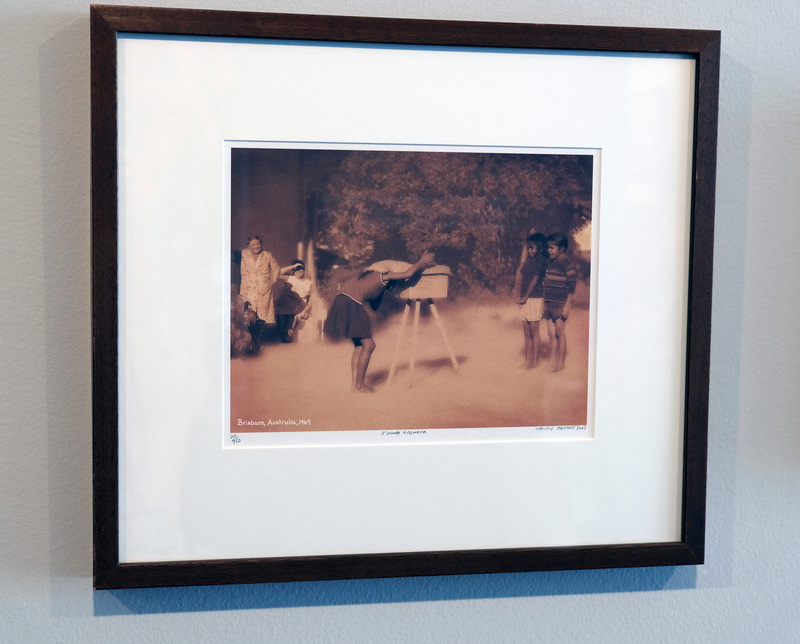 In this series, however, Knight has folded the photographic prints to frustrate any expectation we might have about a photograph’s capacity to show or reveal its subject. 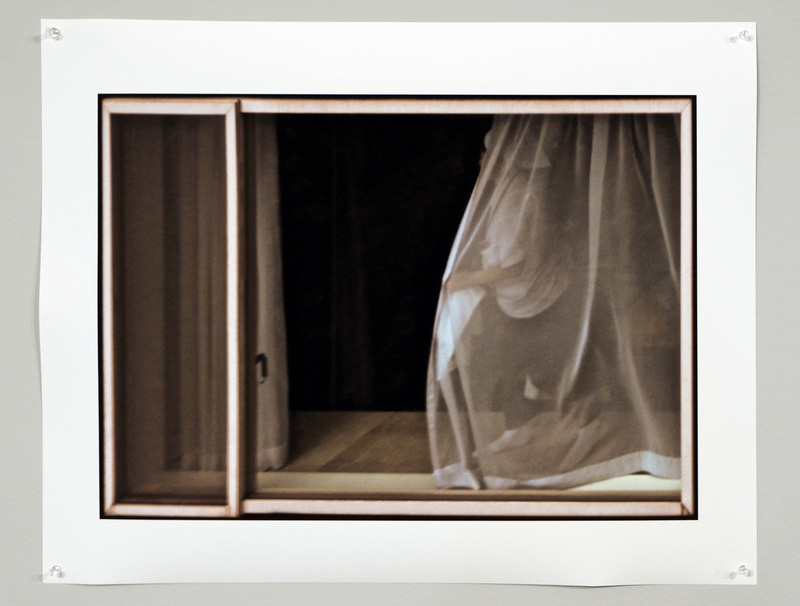 Instead of offering a crude, voyeuristic perspective, the intimacy documented in these images is obscured and concealed in the folds of the print. 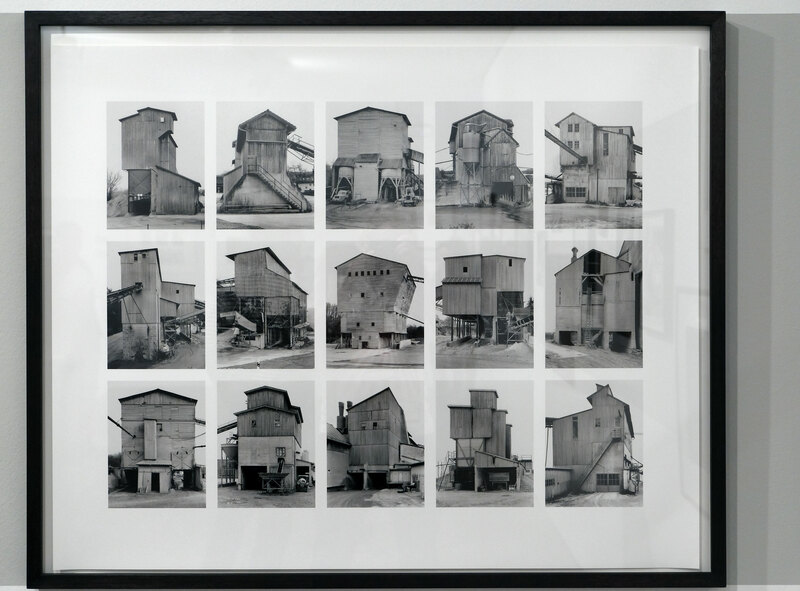 Emidio Puglielli‘s work focuses on the relationship between the photograph as a material object and the photograph as an image. 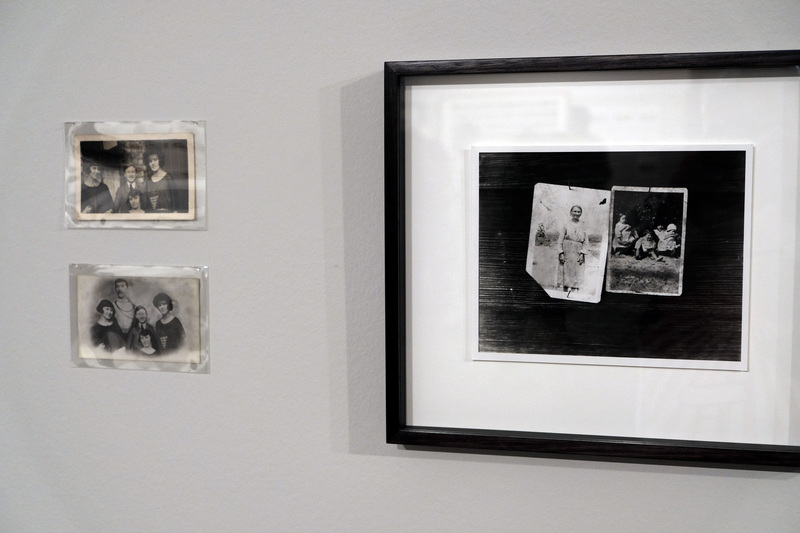 He is particularly interested in old photographs and their continued resonance in contemporary society. 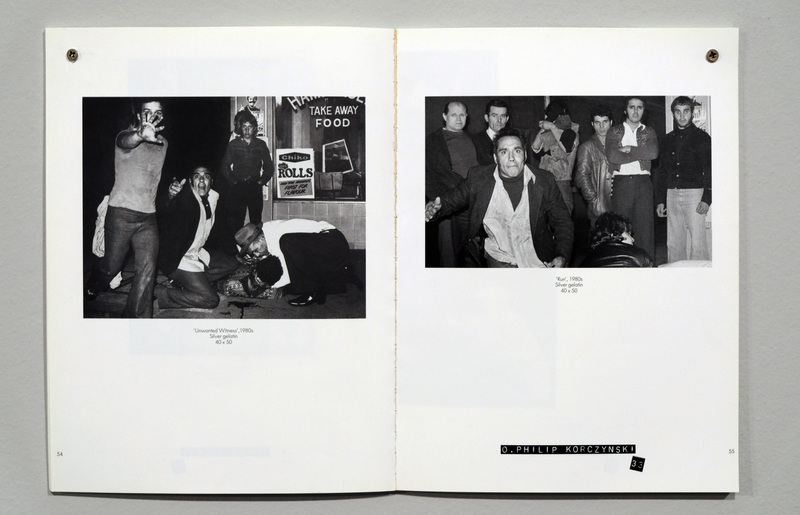 Puglielli fi nds and collects vernacular photography to use as the starting point for his works. 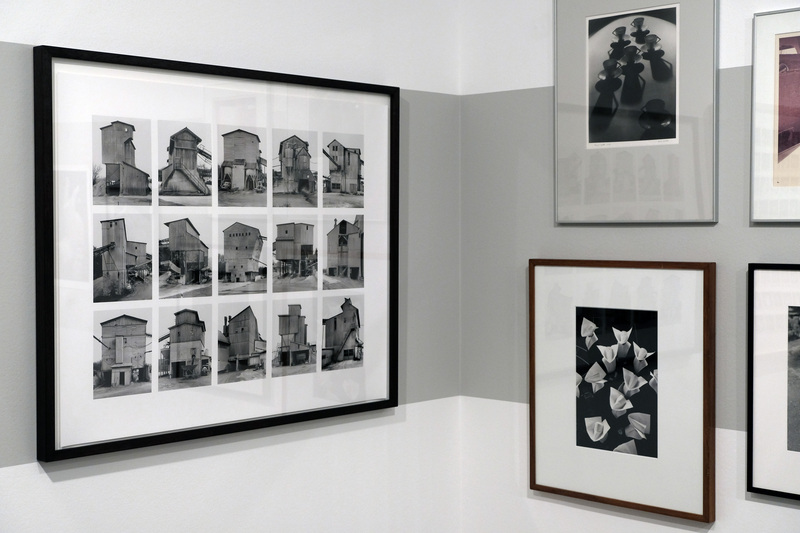 He then highlights the materiality of the photographs by drawing attention to their surface and structure. 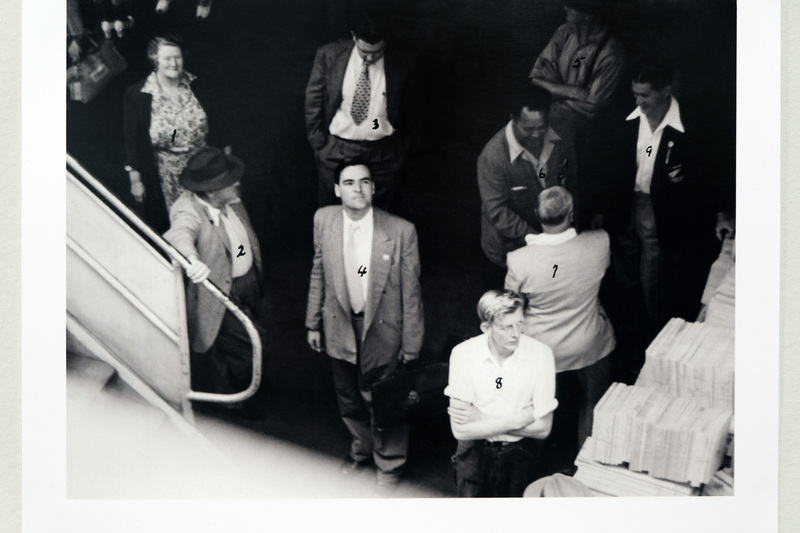 To do this he employs strategies such as rubbing off the emulsion or piercing the surface with map pins. 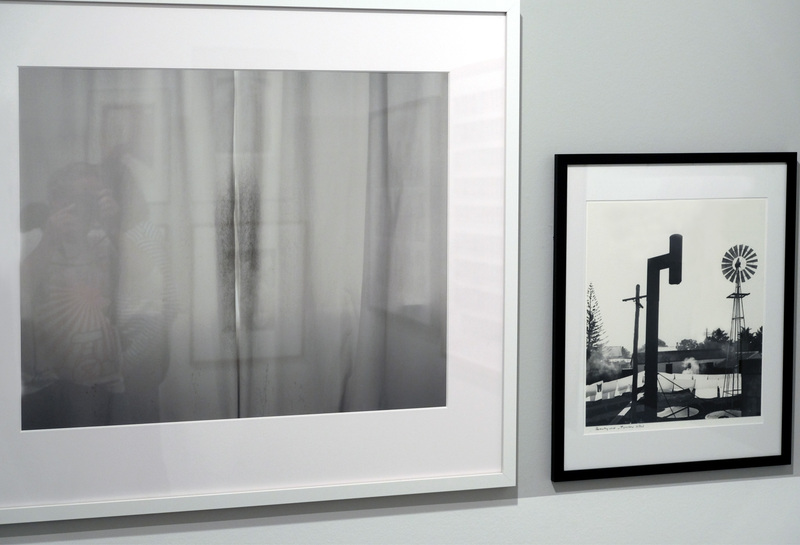 Puglielli is interested in the way such interventions alter the meaning of a photograph and offer new readings of images. 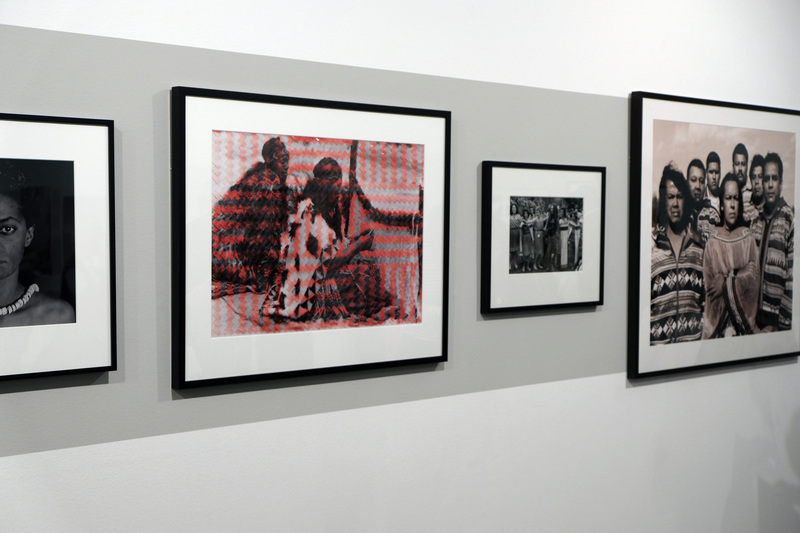 By damaging the smooth surface of the print, he is able to disrupt the illusion of the photographic image, but his interventions also embellish the photographs in sympathetic ways. This is particularly evident in Snow disruption, where the pins appear as snowflakes, and Shadow disruption where pins become eyeballs in the shadow of the unknown photographer. 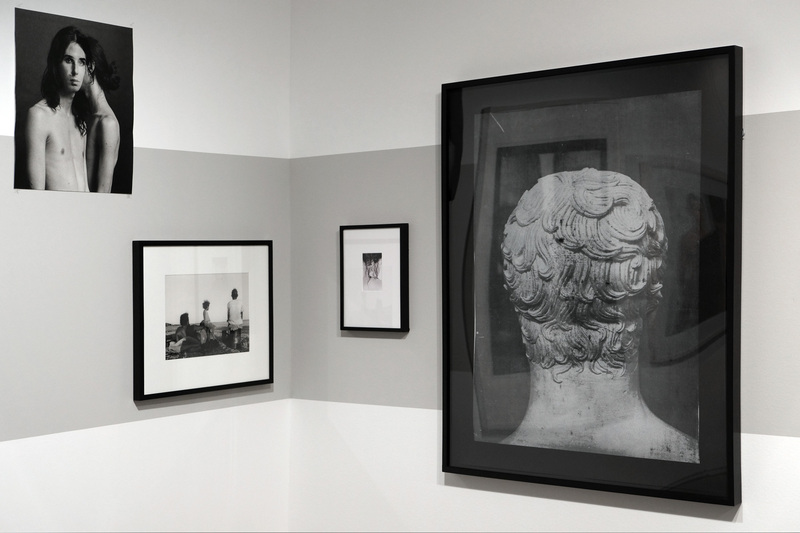 Puglielli’s works therefore seek to question the nature of photography and the way in which photographs are viewed and reinterpreted. 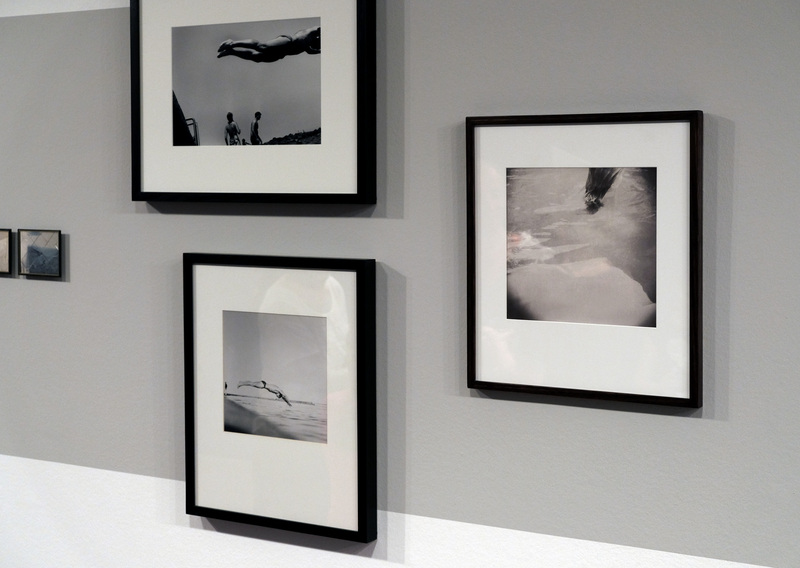 Vivian Cooper Smith‘s artistic practice revolves around photography. 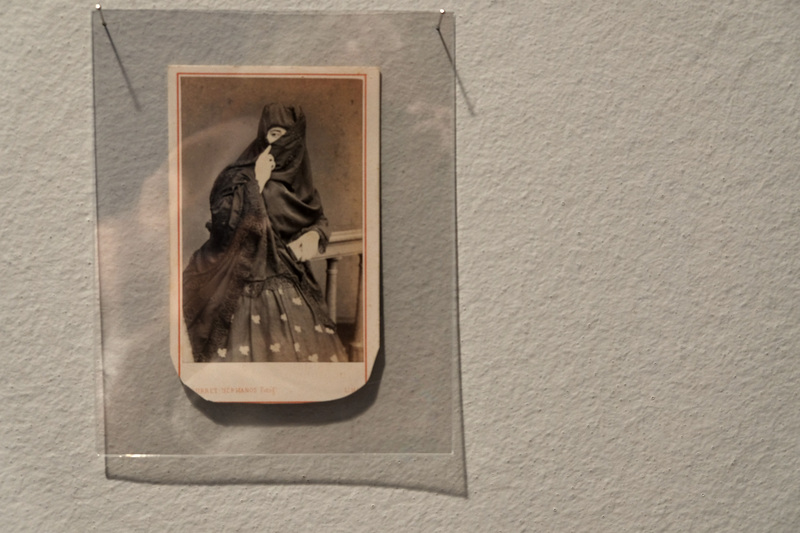 Timeless (2013) explores identity and conceptions of self while also reflecting on the nature of photography. 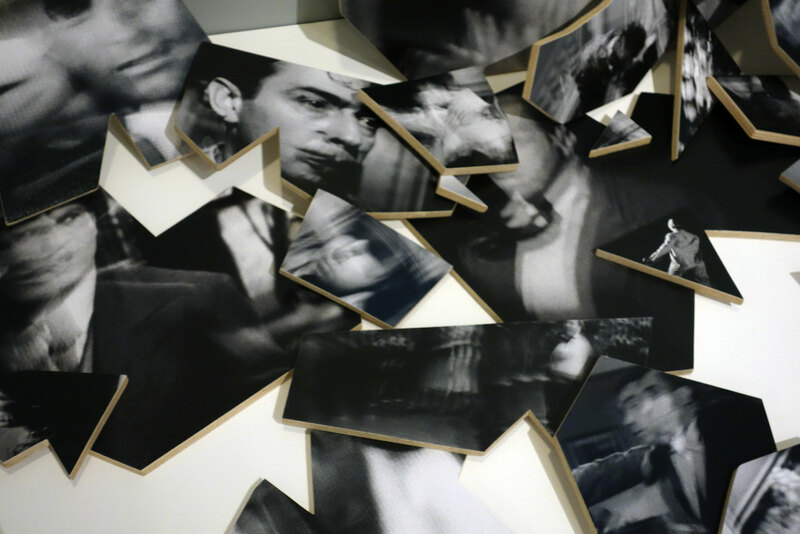 To create this work, Smith photographed film noir classics directly from an old television screen. 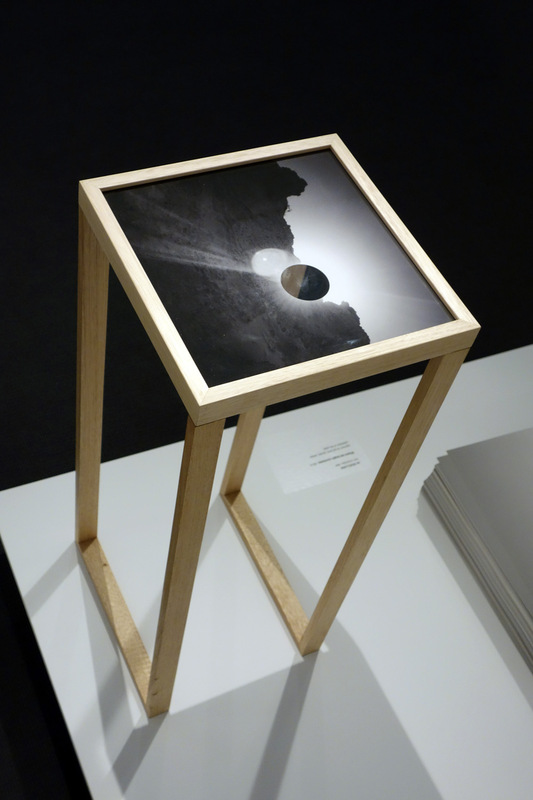 He then printed the images and hand-cut them to fit pieces of irregularly shaped plywood. 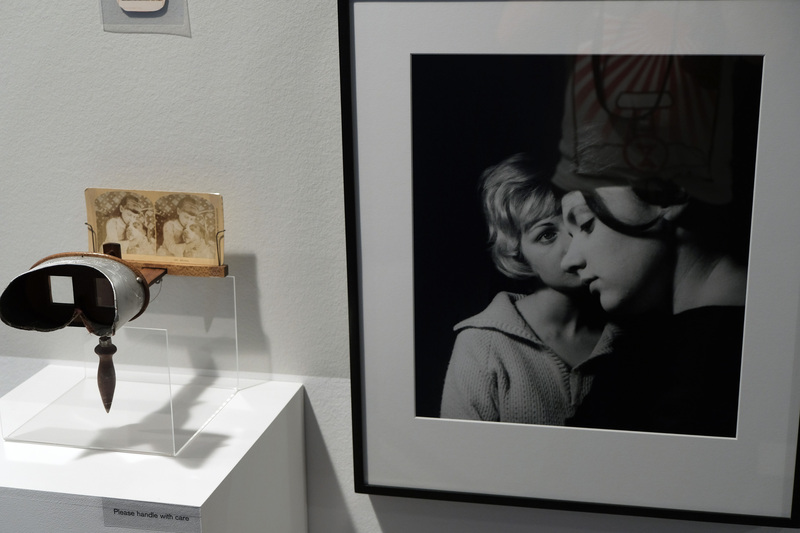 Smith created this work during a period of personal turmoil and felt that the film noir genre of the post-war period resonated with his own desire to remake himself after a relationship breakdown. 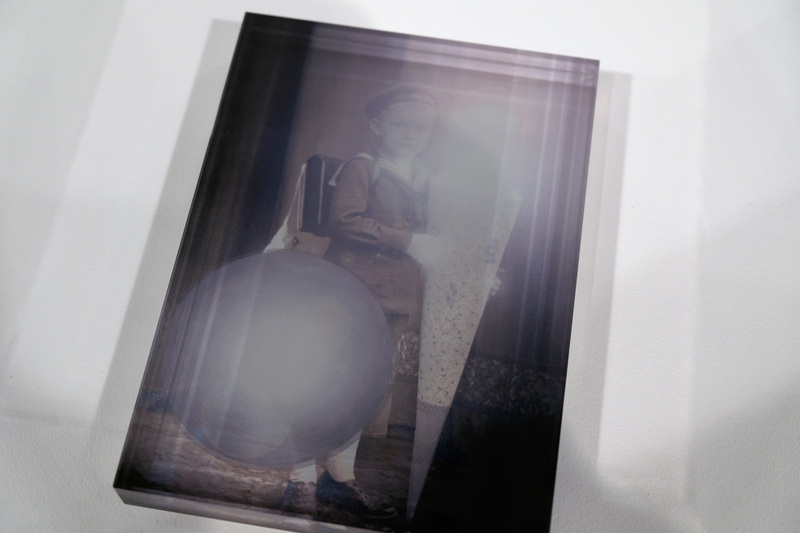 As is common to his practice, Smith has interfered with the photograph’s smooth, seamless surface, in this case by dissecting it and creating a three dimensional sculpture. 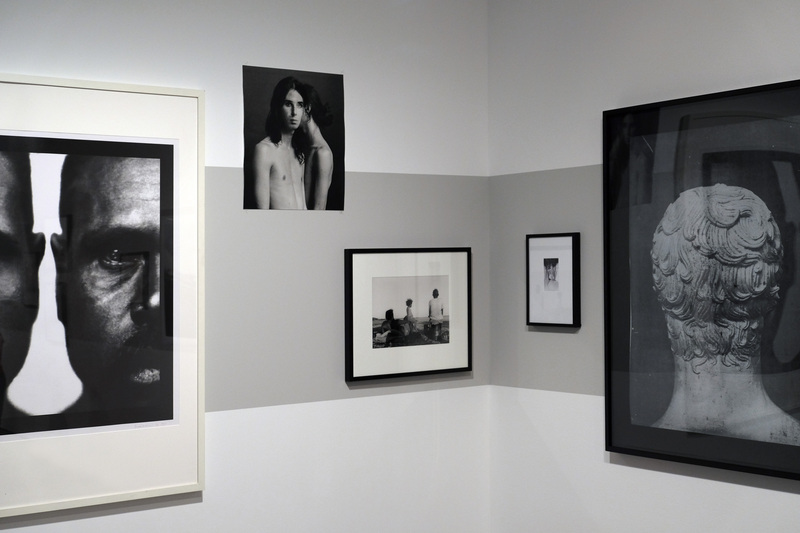 By focussing on the materiality of the photograph, Smith aims to highlight its artificial or constructed nature. 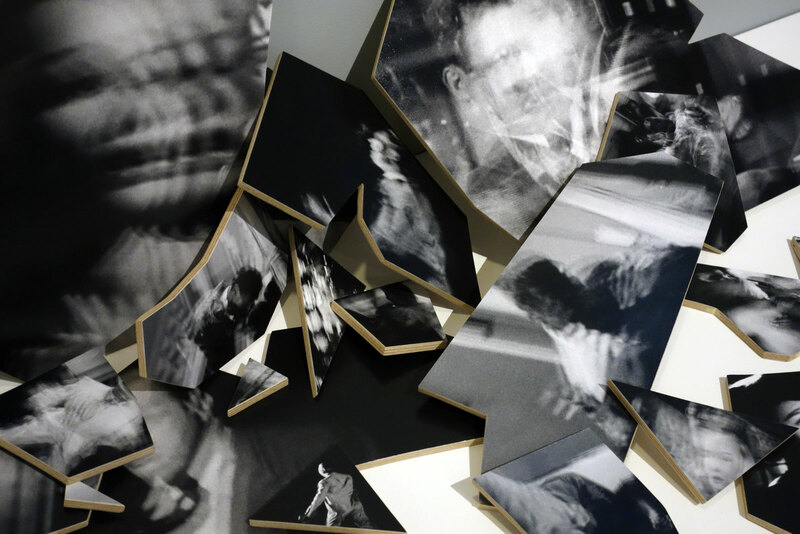 Derek Kreckler originally trained as a sculptor and established himself as a performance and sound artist during the 1990s, he has more recently concentrated on producing photographic and installation work. 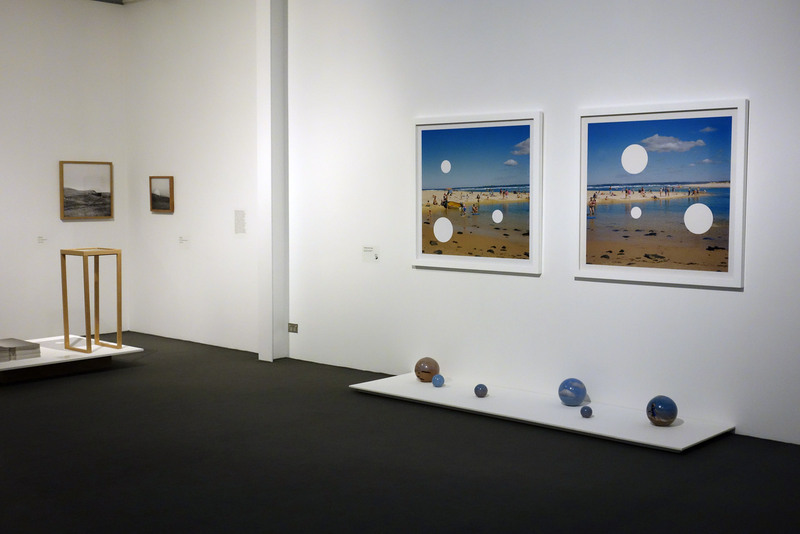 Kreckler’s Holey series consists of beach scenes and seascapes that have been punctured with circular apertures. 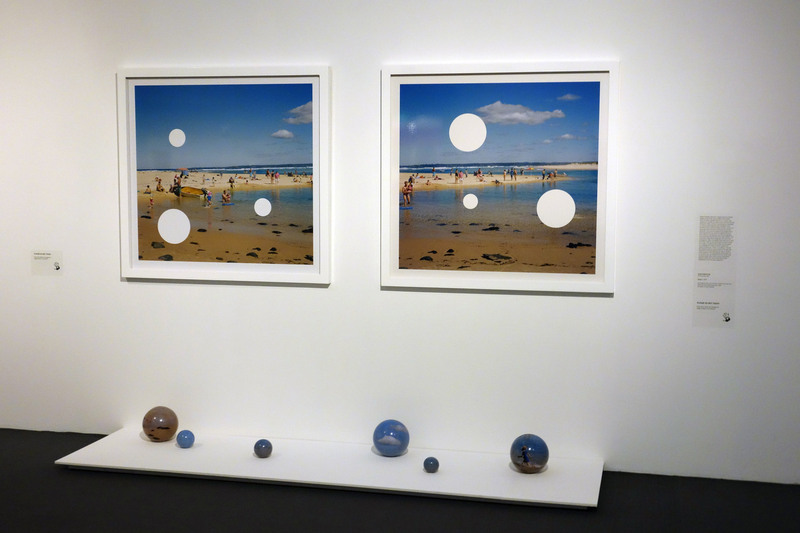 The excised sections of the images have been transformed into spherical objects that sit in front of the two photographs, as if the photographs have spawned offspring from their holey orifices. This sculptural configuration challenges the notion that photography offers a straightforward document of time and place. 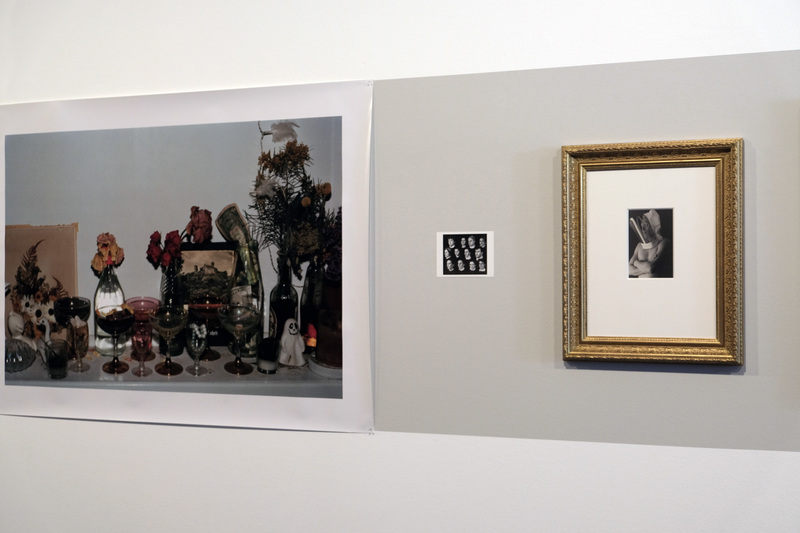 Instead, the photograph has been turned into a type of puzzle that the viewer is encouraged to investigate and solve. 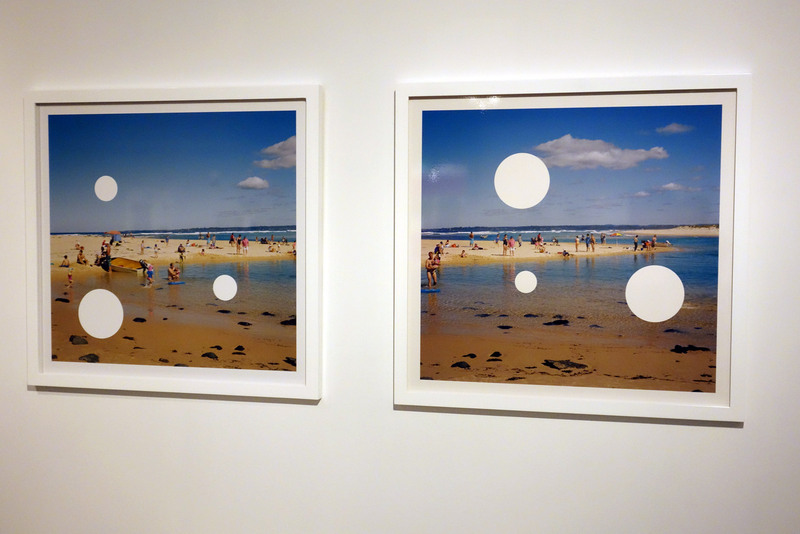 To further deepen the viewing experience, Holey 1 is a diptych. 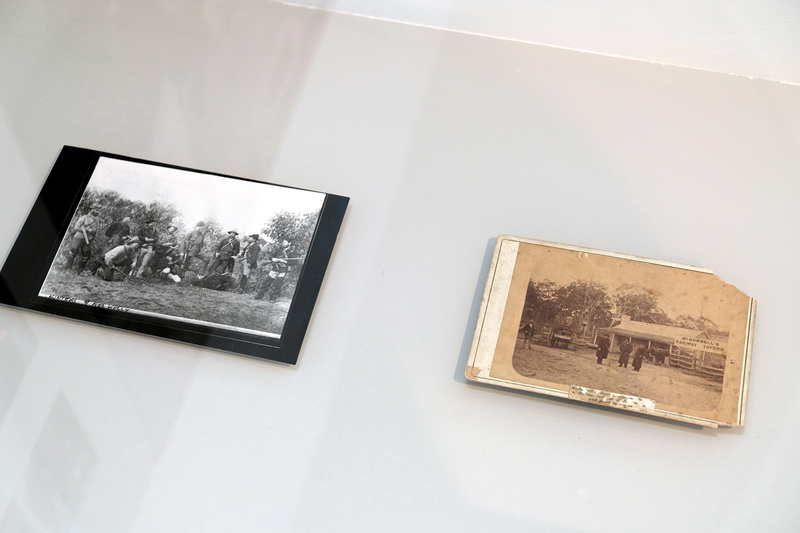 The two photographs show the same location; the right side captured a short time after the left side. 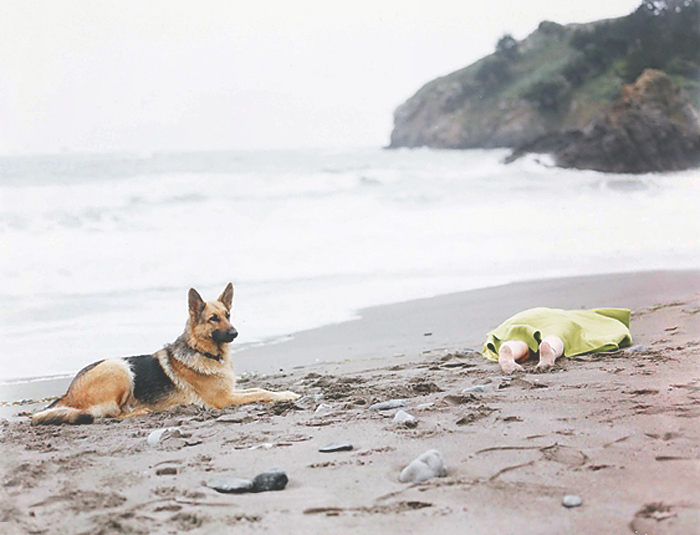 A number of the subjects in the photographs, beach goers on a summer’s day, are displaced by time. Some have remained static, some seem to have meandered between beach and sand, whilst others have disappeared from the scene altogether. 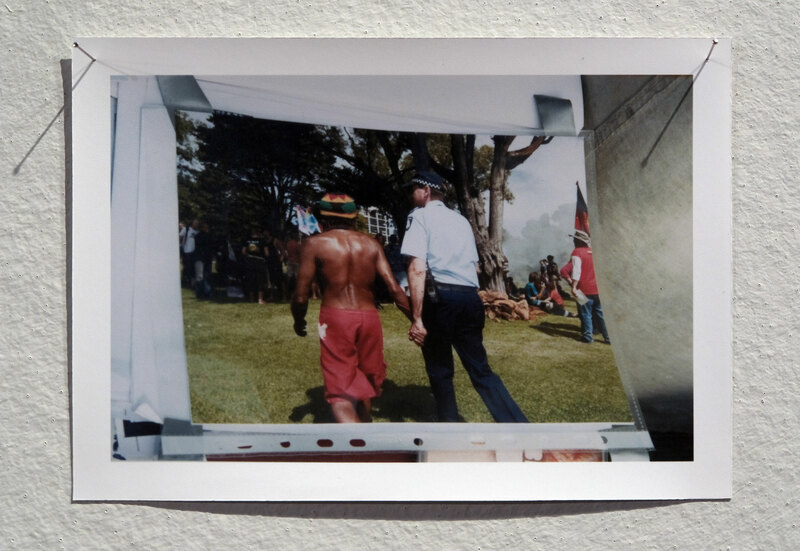 Jo Scicluna works with a range of media, including photography, video, sculpture and installation, often combining these art forms to bring photography into the space of lived experience. 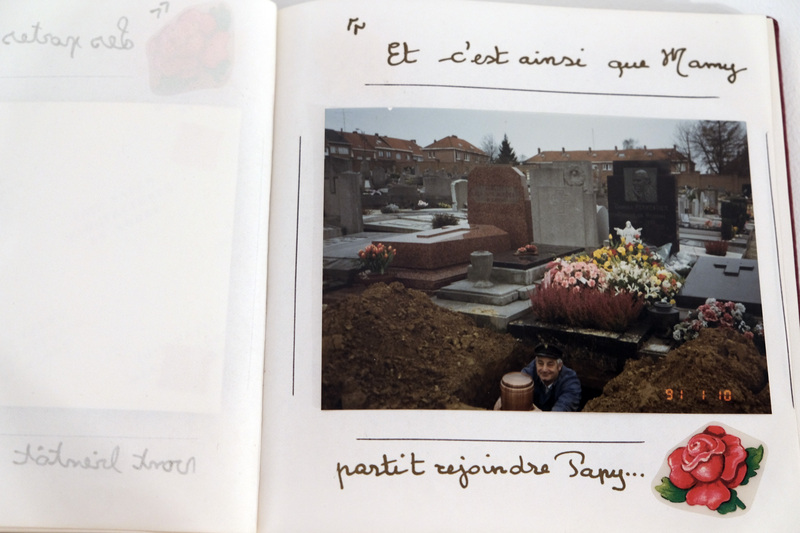 Dissatisfied with the way photography, as a documentary device, is almost always tied to past events, Scicluna encourages viewers to engage with the presence of photographic objects. 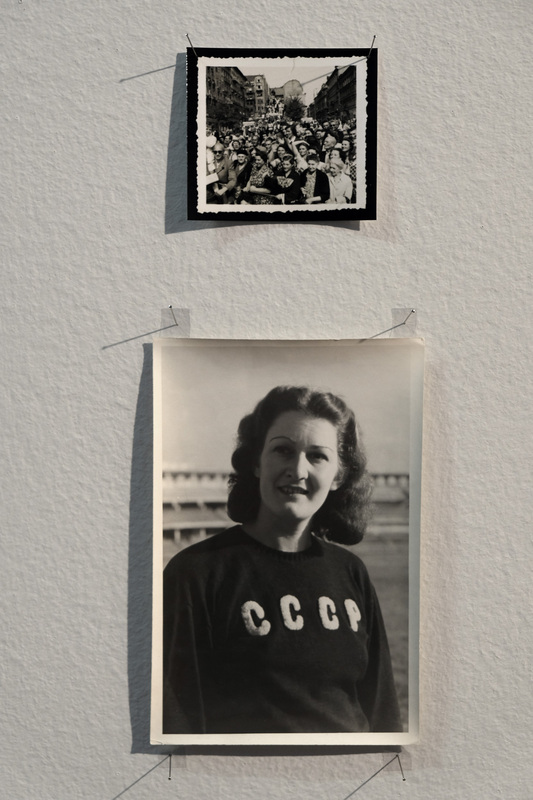 By cutting into the smooth surface of a photographic print, she disrupts the notion that a photograph is a window into the past. 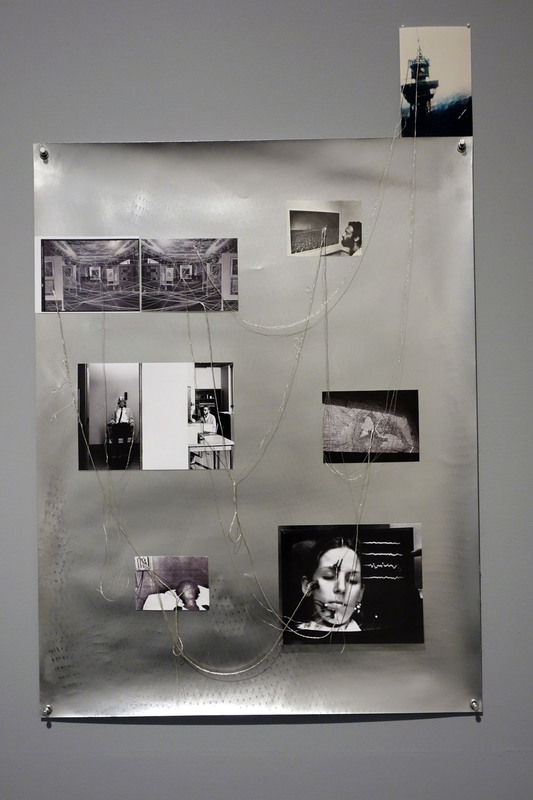 She also elaborates conceptual relationships between different photographic objects in her installations. 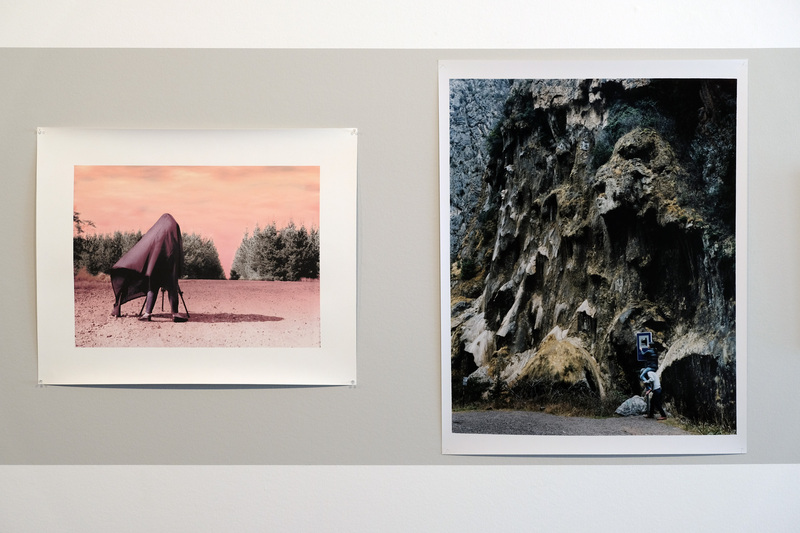 In doing this, Scicluna activates the space between the photographic print, the sculptural form and the phenomenology of a gallery space. 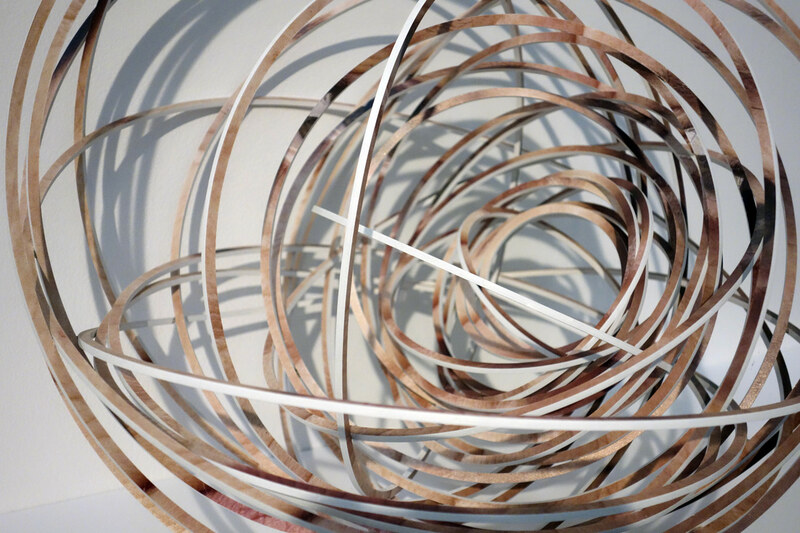 For Scicluna, the experience of being in-between things is related to her personal experience of migration and geographic rupture. 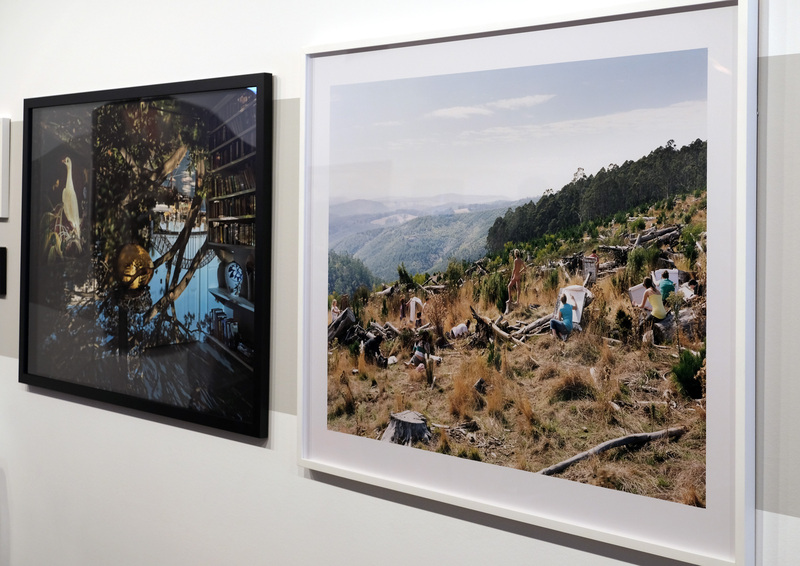 Scicluna is not interested in using photography to create documents of specific times and places but uses the medium in a conceptual way to evoke sensations that are not as easy to represent in a literal sense. 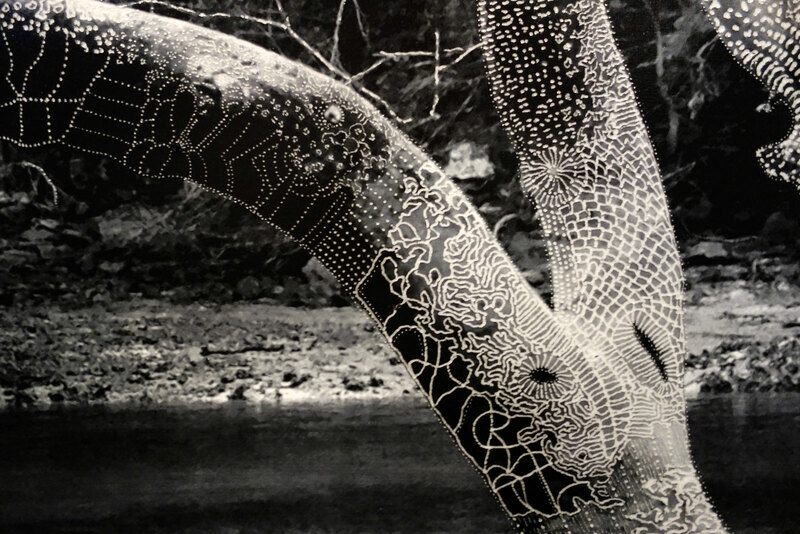 Joshua Yeldham uses a range of media, his practice is focused on exploring the landscape and elaborating spiritual and symbolic narratives around his engagement with the natural world. 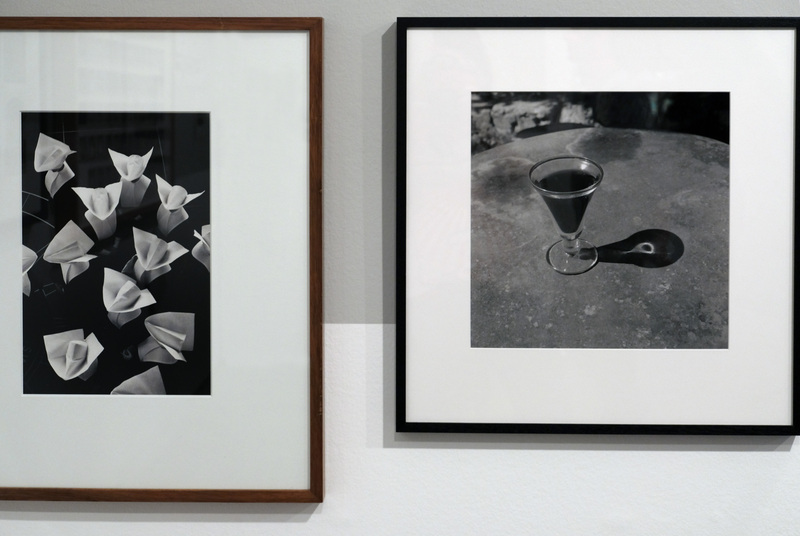 He captures photographic images on a smart phone before blowing them up and printing them on cotton paper. He then uses tools to physically carve into the paper, disrupting the smooth surface of the photographic image and adding a personal, handmade effect. It is as if the artist is tattooing his own map or story into the skin of the image. 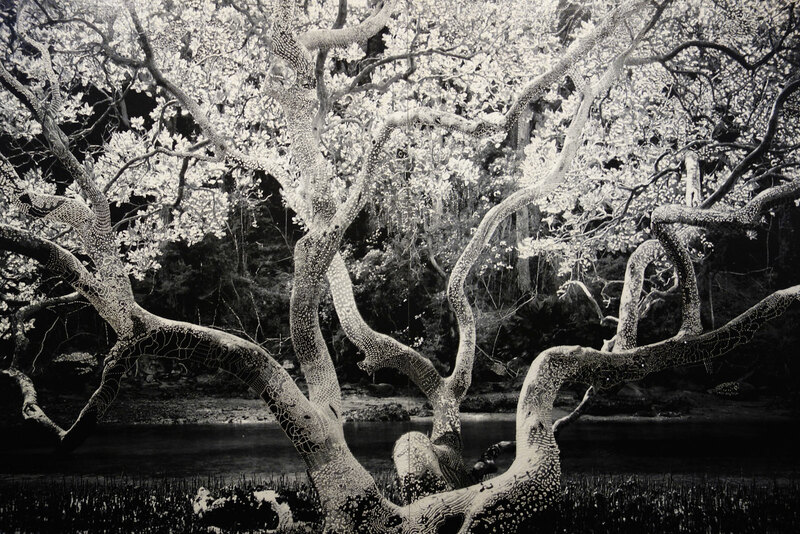 The intricate carving creates a textured pattern of lightness over his otherwise dark and mysterious photographs. 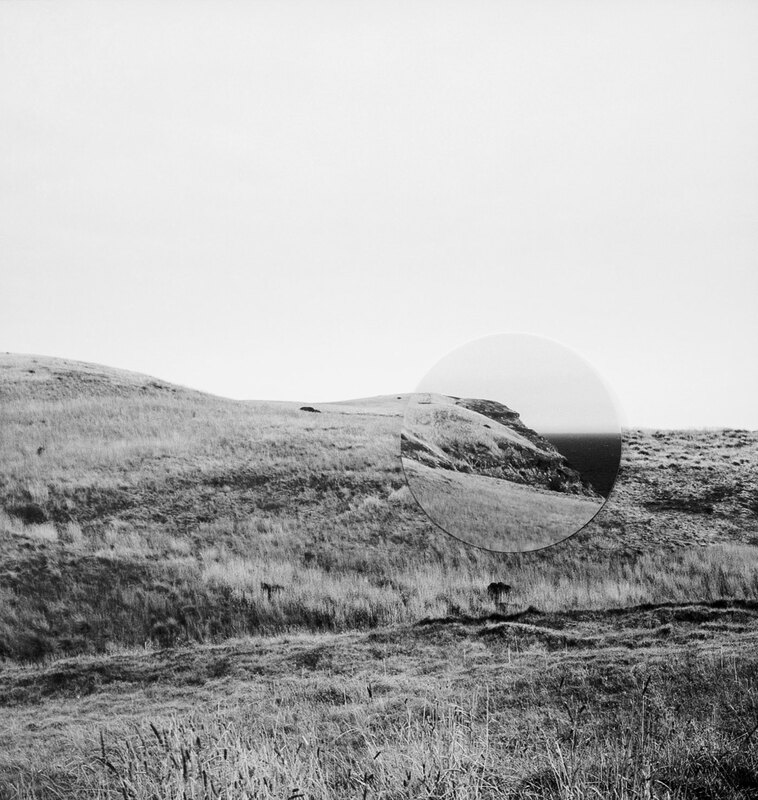 The technique allows Yeldham to explore history and mythology in the landscape and imbue his works with elements of both the real and the imagined. It also allows him to reference the passing of time as well as the weather and destruction that the natural environment endures on a daily basis. 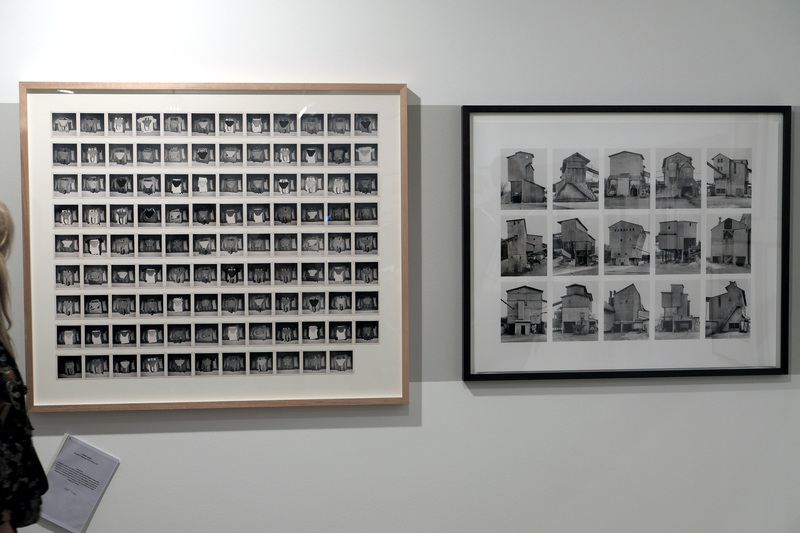 I never usually review group exhibitions but this is an exception to the rule. I have seen this exhibition three times and every time it has grown on me, every time I have found new things to explore, to contemplate, to enjoy. 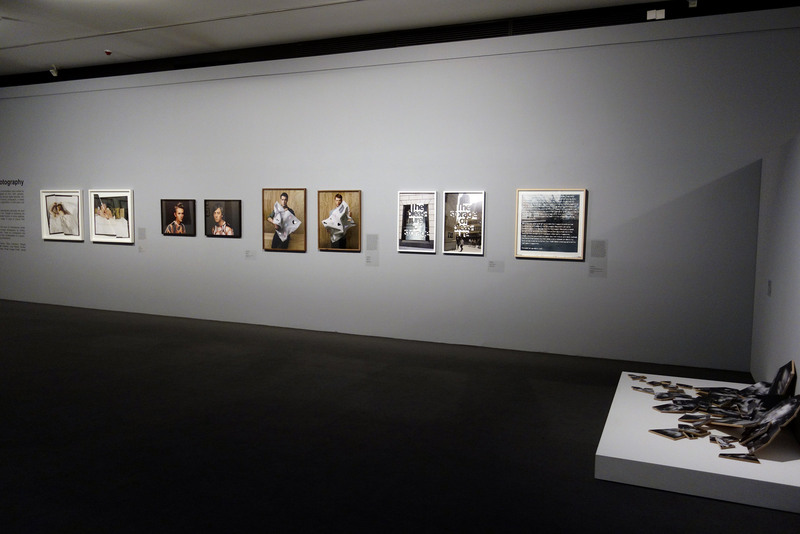 It is a fabulous exhibition, sometimes uplifting, sometimes deeply moving but never less than engaging – challenging our perception of life. 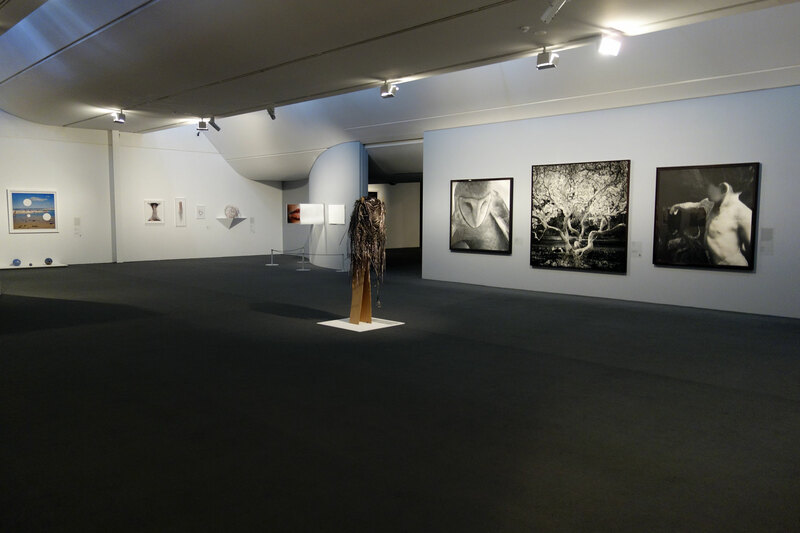 The exhibition proceeds chronologically from birth to death. I comment on a few of my favourite works below but the whole is really the sum of the parts: go, see and take your time to inhale these works – the effort is well rewarded. The space becomes like a dark, fetishistic sauna with it’s nooks and crannies of videos and artwork. Make sure you investigate them all! 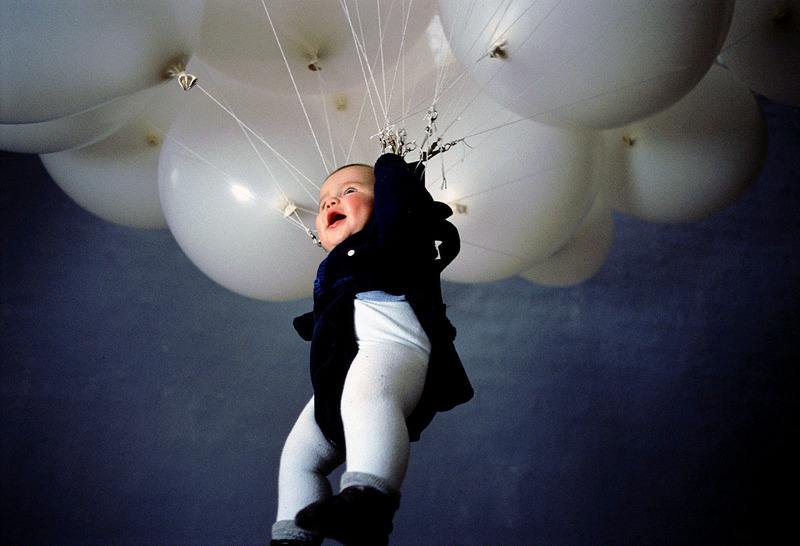 ‘Tilt’ (2002, see photograph below) is a mesmeric video by Fiona Tan of a toddler strapped into a harness suspended from a cluster of white helium-filled balloons in a room with wooden floorboards. The gurgling toddler floats gently into the air before descending to the ground, the little feet scrabbling for traction before gently ascending again – the whole process is wonderful, the instance of the feet touching the ground magical, the delight of the toddler at the whole process palpable. Dan Rule sees the video as “enlivening and troubling, joyous and worrisome” and he is correct in this observation, in so far as it is the viewer that worries about what is happening to the baby, not, seemingly, the baby itself. It is our anxiety on the toddlers behalf, trying to imagine being that baby floating up into the air looking down at the floor, the imagined alienness of that experience for a baby, that drives our fear; but we need not worry for babies are held above the heads of fathers and mothers every day of the year. Fear is the adult response to the joy of innocence. 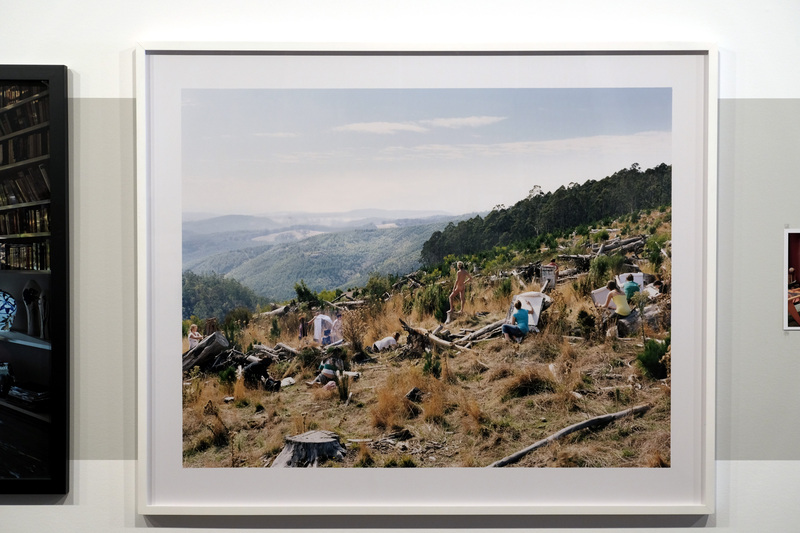 There are several photographs by Melbourne photographer Darren Sylvester in the exhibition and they are delightful in their wry take on adolescent life, girls eating KFC (‘If All We Have Is Each Other, Thats Ok’), or pondering the loss of a first love – the pathos of a young man sitting in a traditionally furnished suburban house, reading a letter (in which presumably his first girlfriend has dumped him), surrounded by the detritus of an unfinished Subway meal (see photograph below). 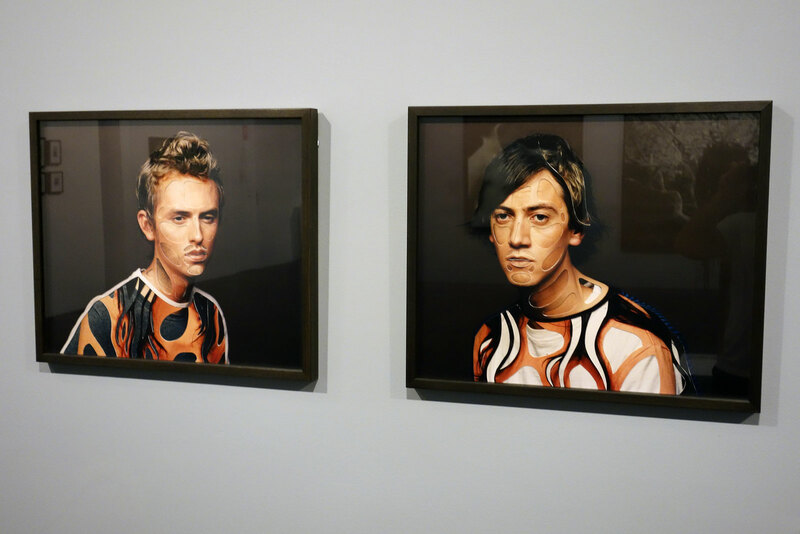 An interesting work by Sue and Ben Ford, ‘Faces’ (1976-1996, see photograph below) is a video that shows closely cropped faces and the differences in facial features twenty years later. The self consciousness of people when put in front of a camera is most notable, their uncomfortable looks as the camera examines them, surveys them in minute detail. The embarrassed smile, the uncertainty. It is fascinating to see the changes after twenty years. Immediate and raw these photographs have an intense power for the viewer. 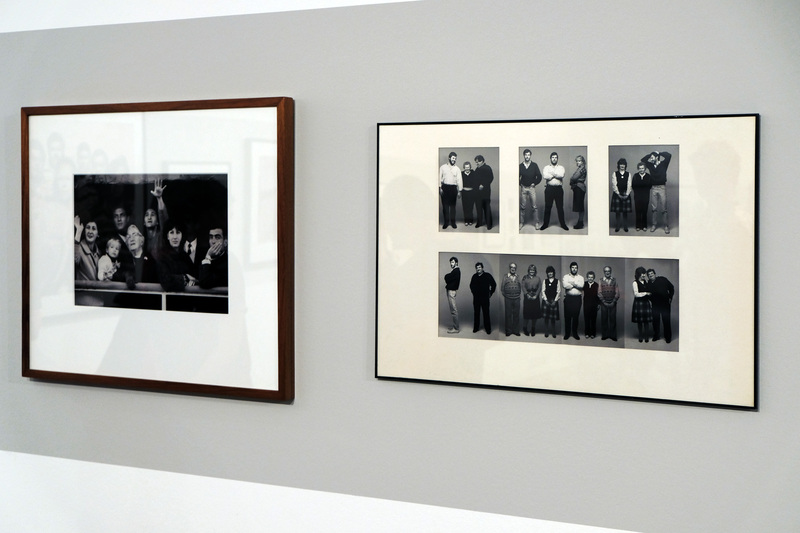 A personal favourite of the exhibition is Alex Danko’s installation ‘Day In, Day Out’ (1991, see photograph below). 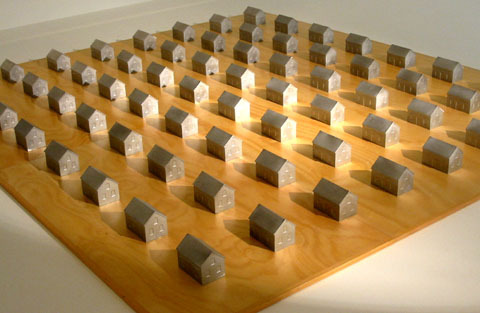 Such as simple idea but so effective: a group of identical silver houses sits on the floor of the gallery and through a rotating wheel placed in front of a light on a stand, the sun rises and sets over and over again. The identical nature of the houses reminds us that we all go through the same process in life: we get up, we work (or not), we go to bed. The sun rises, the sun sets, everyday, on life. Simple, beautiful, eloquent. 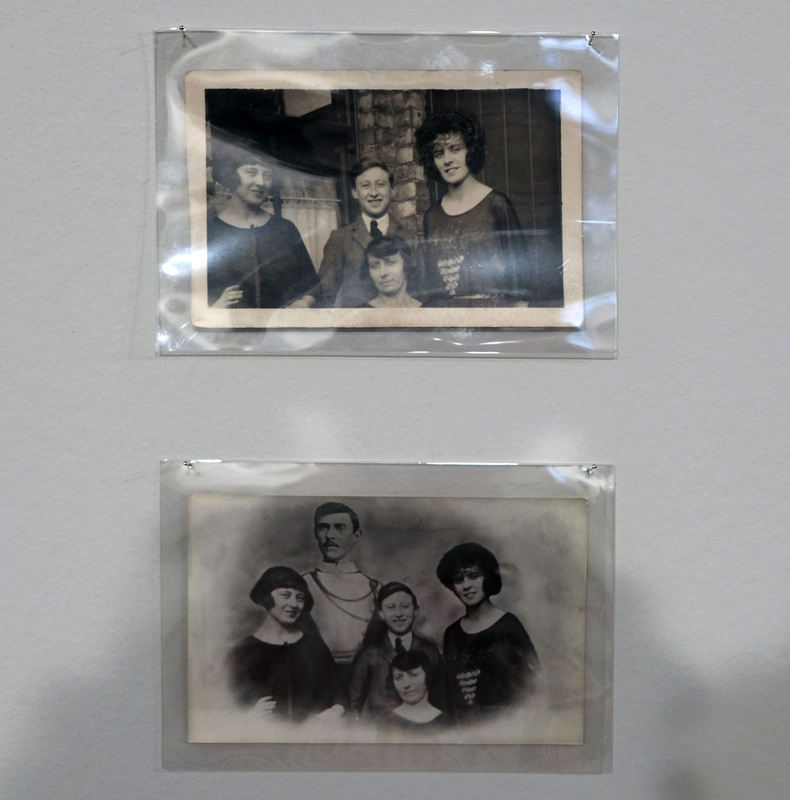 Another favourite is Louise Short’s series of found colour slides of family members displayed on one of those old Kodak carrousel slide projectors. 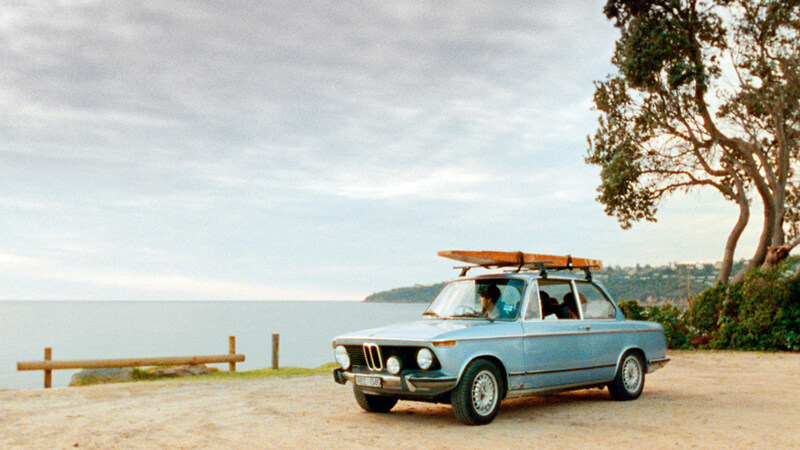 This is a mesmeric, nostalgic display of the everyday lives of family caught on film. I just couldn’t stop watching, waiting for the next slide to see what image it brought (the sound of the changing slides! 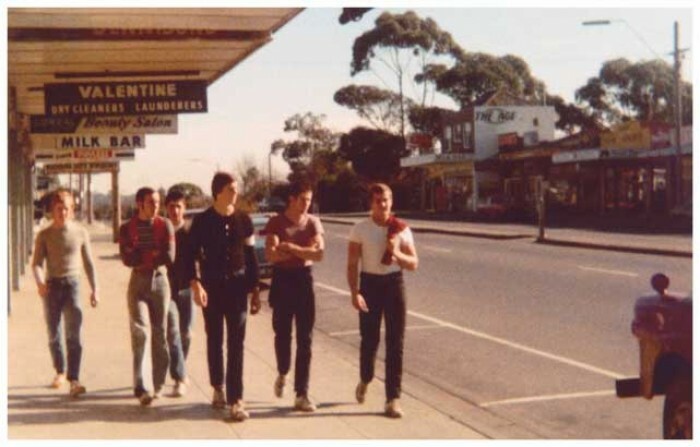 ), studying every nuance of environment and people, colour and space: recognition of my childhood, growing up with just such images. 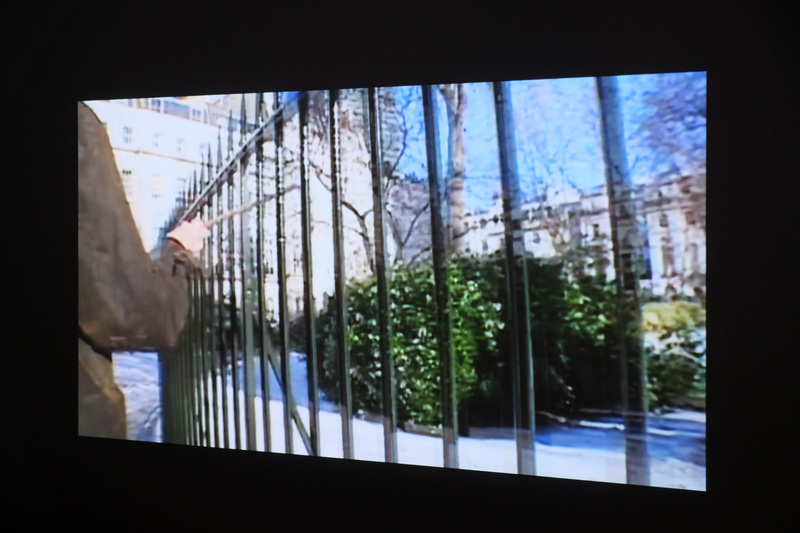 Anri Sala’s video ‘Time After Time’ (2003, see photograph below) is one of the most poignant works in the exhibition, almost heartbreaking to watch. A horse stands on the edge of a motorway in the near darkness, raising one of it’s feet. It is only when the lights of a passing car illuminate the animal that the viewer sees the protruding rib cage and you suddenly realise how sick the horse must be, how near death. Watch the video on the Lumen Eclipse website. The film ‘Presentation Sisters’ (2005, see photographs below) by English artist Tacita Dean, “shows the daily routines and rituals of the last remaining members of a small ecclesiastical community as they contemplate their journey in the spiritual after-life.” Great cinematography, lush film colours, use of shadow and space – but it is the everyday duties of the sisters, a small order of nuns in Cork, Ireland that gets you in. It is the mundanity of washing, ironing, folding, cooking and the procedures of human beings, their duties if you like – to self and each other – that become valuable. Almost like a religious ritual these acts are recognised by Dean as unique and far from the everyday. We are blessed in this life that we live. 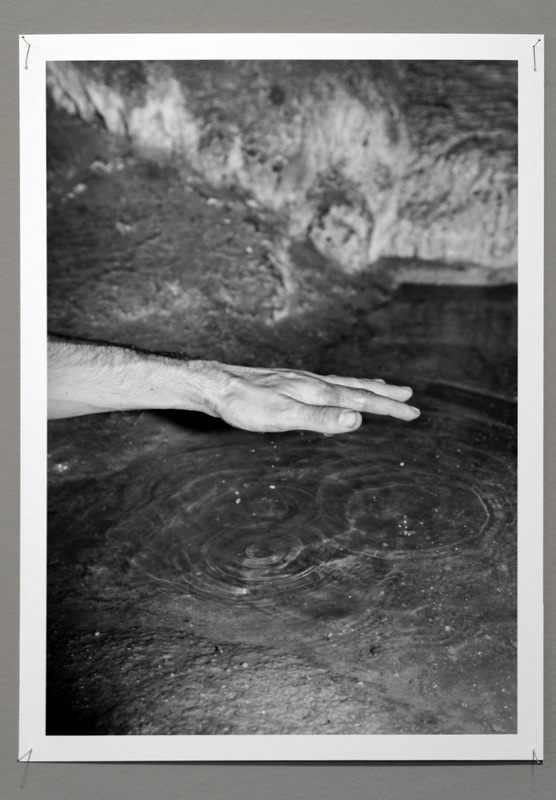 Finally two works by Bill Viola: ‘Unspoken (Silver & Gold)’ 2001 and ‘The Passing’ (1991, see photographs below). 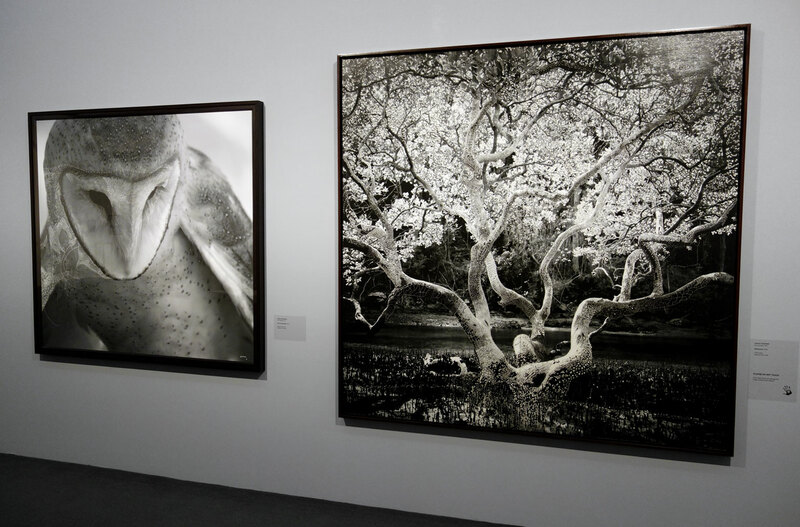 Both are incredibly moving works about the angst of life, the passage of time, of death and rebirth. For me the picture of Viola’s elderly mother in a hospital bed, the sound of her rasping, laboured breath, the use of water in unexpected ways and the beauty of cars travelling at night across a road on a desert plain, their headlights in the distance seeming like atomic fireflies, energised spirits of life force, was utterly beguiling and moving. 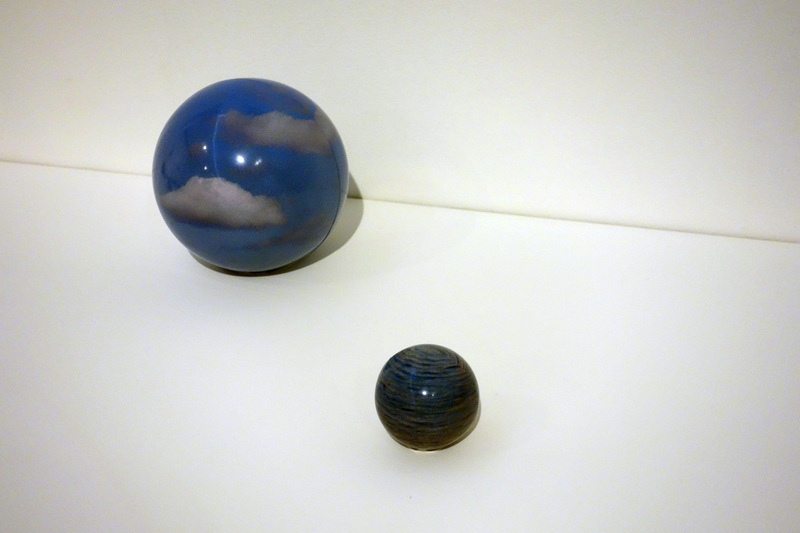 What sadness with joy in life to see these two works. 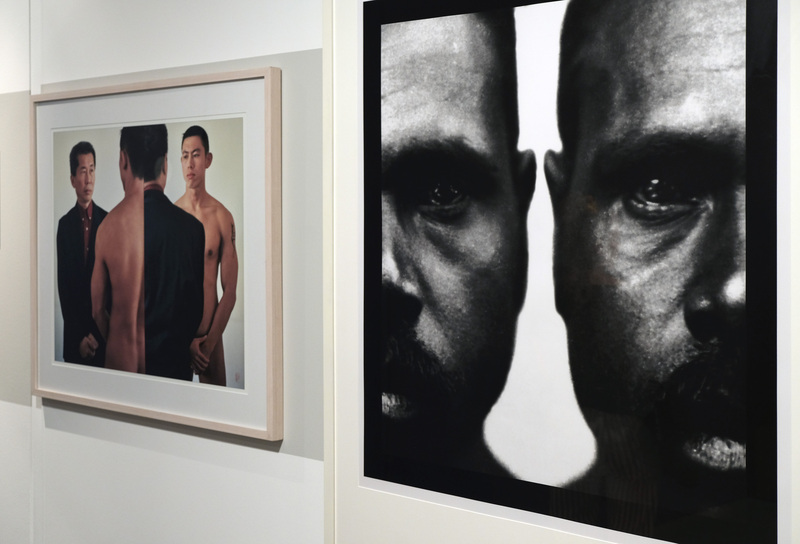 Many thankx to the Melbourne International Arts Festival and the Australian Centre for Contemporary Art for allowing me to publish the photographs in the posting. Please click on the photographs for a larger version of some of the images. “From the cradle to the grave… ACCA’s major exhibition Mortality takes us on life’s journey from the moment of lift off to the final send off, and all the bits in between. 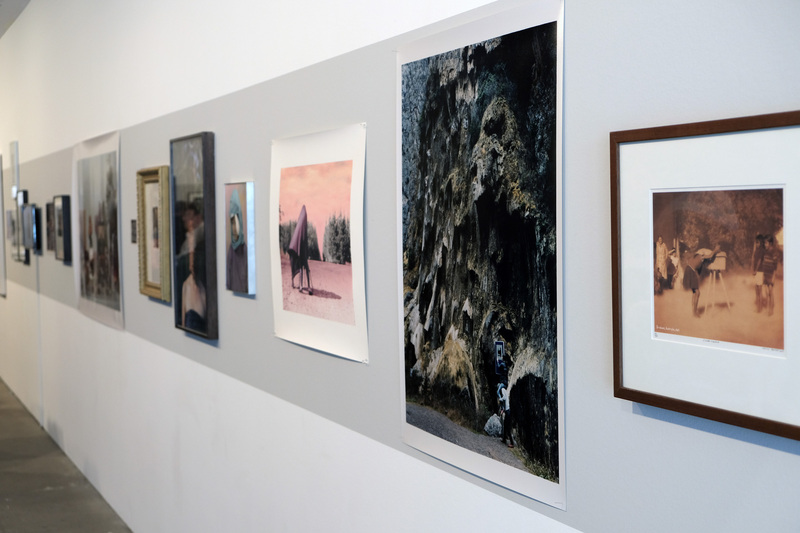 Curated by Juliana Engberg to reflect the Festival’s visual arts themes of spirituality, death and the afterlife, this transhistorical event includes metaphoric pictures and works by some of the world’s leading artists. Tacita Dean, an acclaimed British artist who works in film and drawing and has shown at Milan’s Fondazione Trussardi and at DIA Beacon, New York. 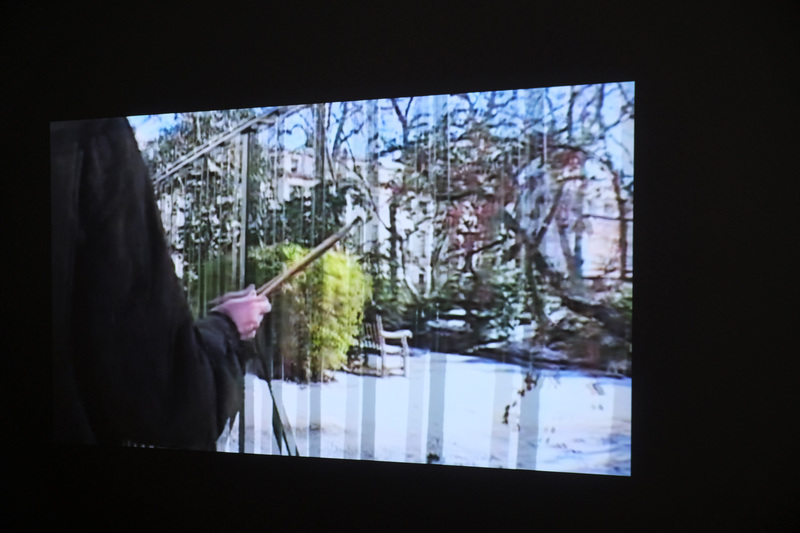 Anastasia Klose, one of Australia’s most exciting young video artists whose works also include performance and installation. 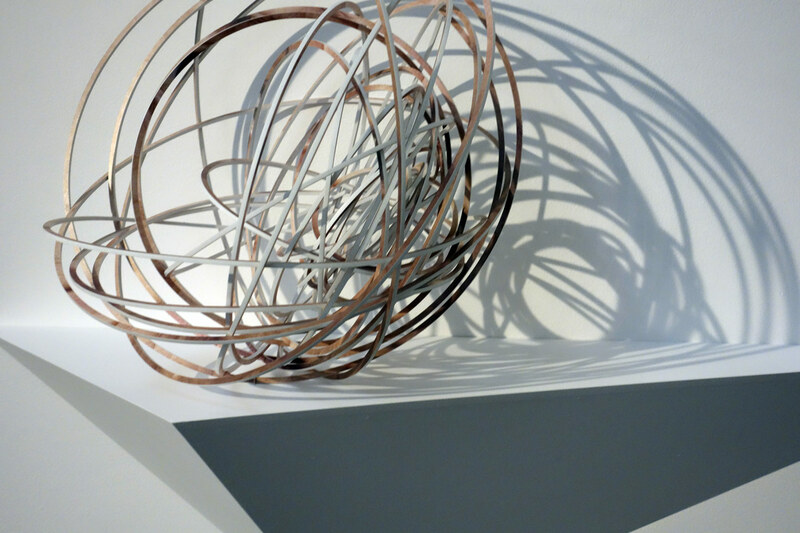 TV Moore, an Australian artist who completed his studies in Finland and the United States and who has shown extensively in Sydney, Melbourne and overseas. 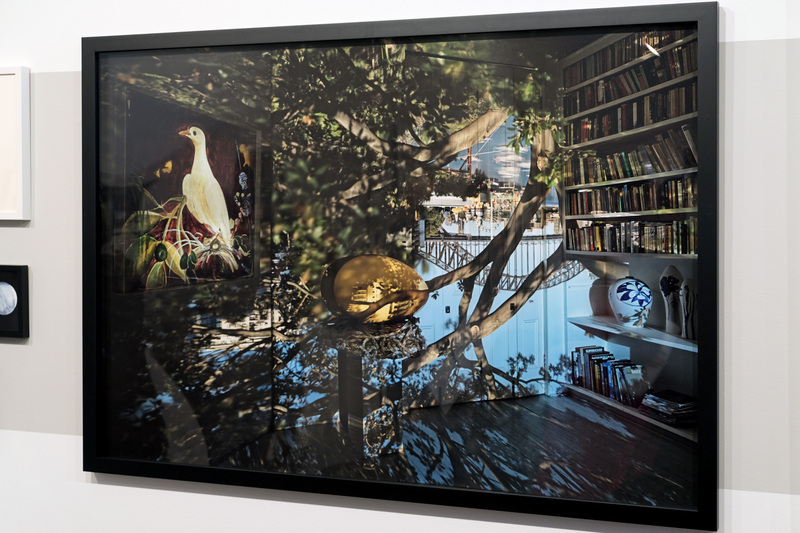 Tony Oursler, a New York-based artist who works in a range of media and who has exhibited in the major institutions of New York, Paris, Cologne and Britain. 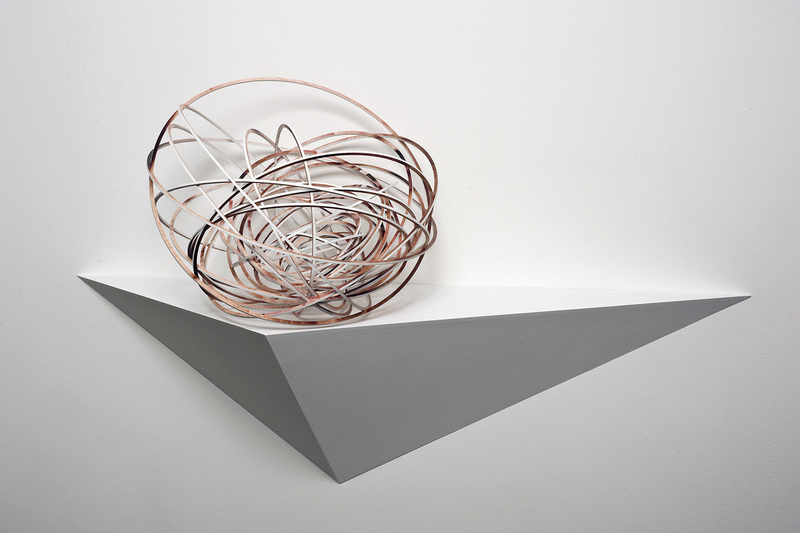 Giulio Paolini, an Italian born artist who has been a representative at both Documenta and the Venice Biennale. 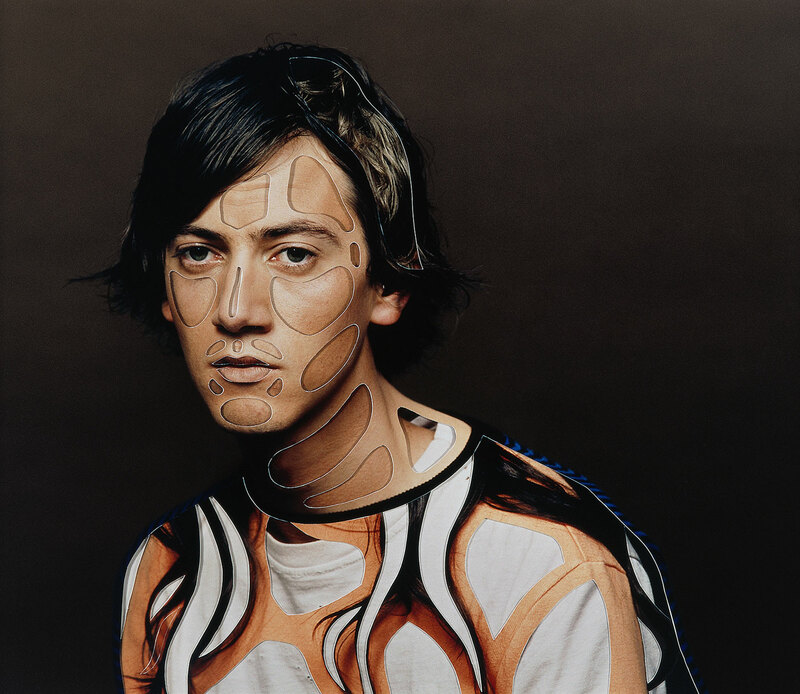 David Rosetzky, a Melbourne-born artist who works predominantly in video and photographic formats and whose work has featured in numerous Australian exhibitions as well as New York, Milan and New Zealand galleries. 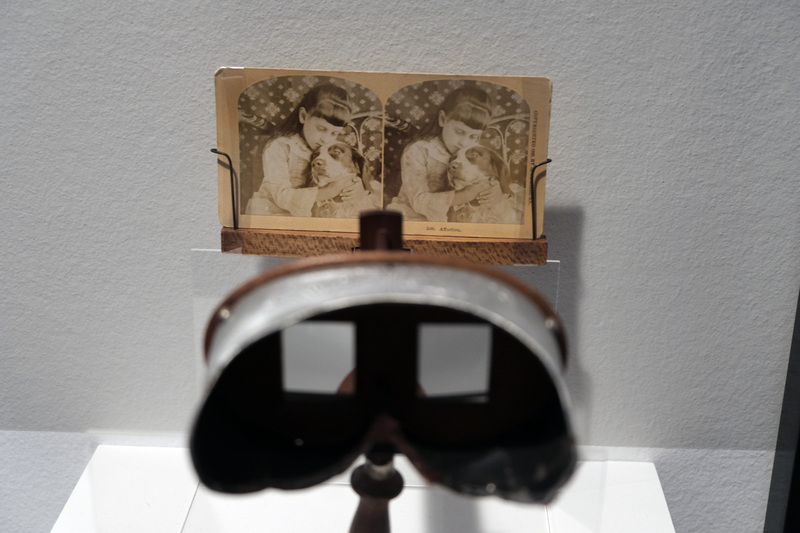 Louise Short, an emerging British artist who works predominately with found photographs and slides. 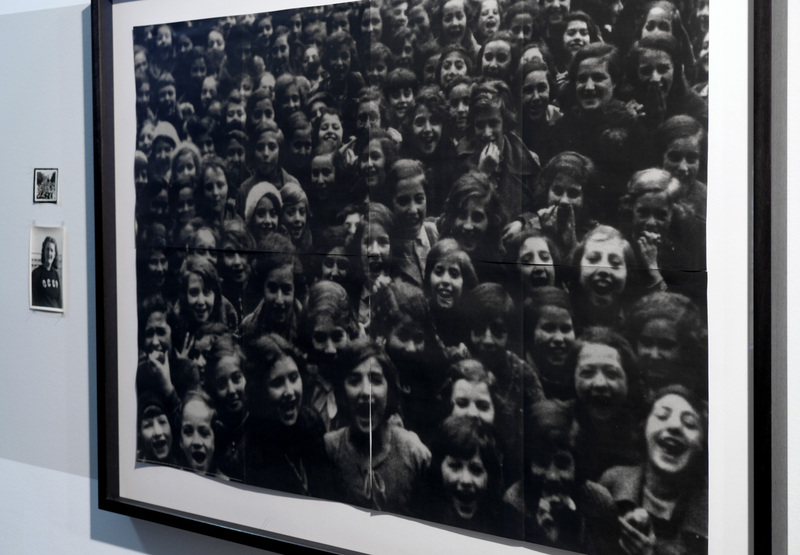 Anri Sala, an Albanian-born artist who lives and works in Berlin. 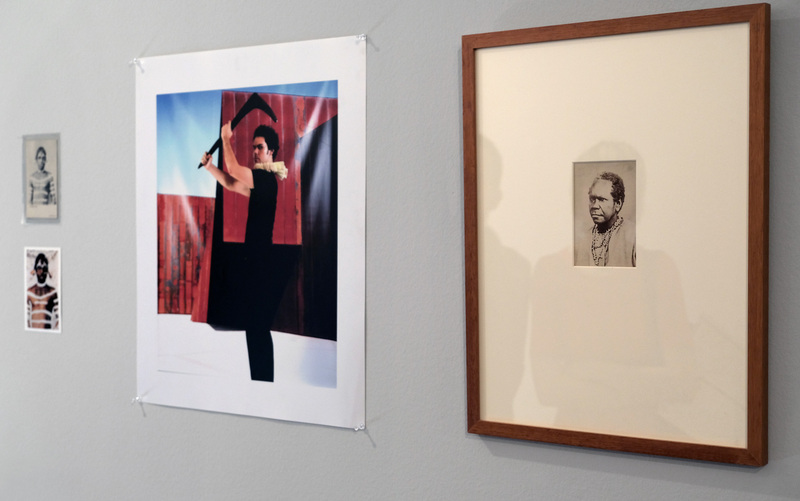 He has shown in the Berlin Biennale and the Hayward, London. Fiona Tan, an Indonesian-born artist, who lives and works in Amsterdam. 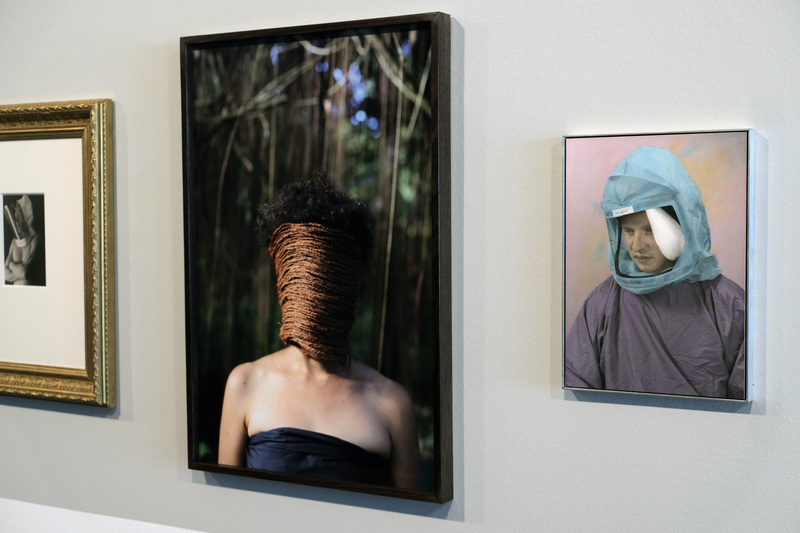 Tan works with photography and film and has shown in a number of major solo and group exhibitions, including representing the Netherlands at the 2009 Venice Biennale. 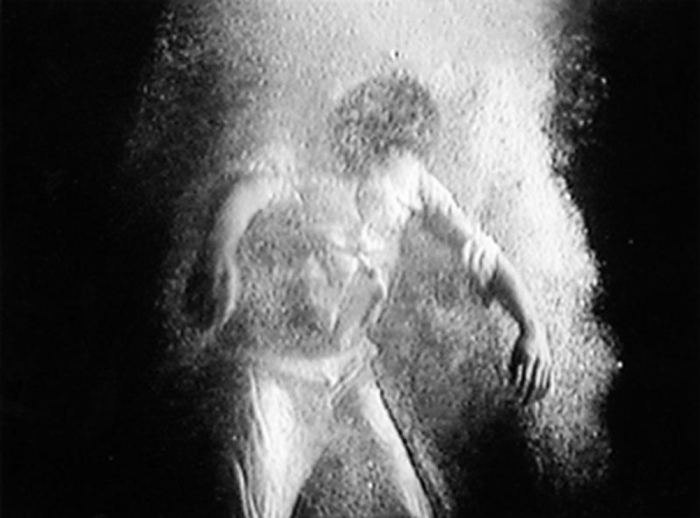 Bill Viola, one of the leaders in video and new media art who has shown widely internationally and in Australia. 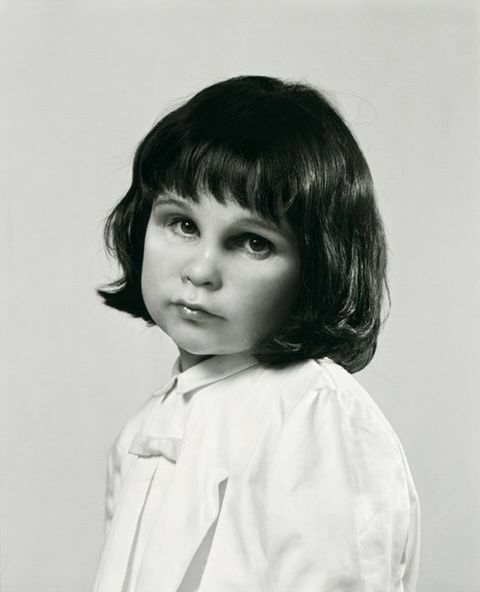 Gillian Wearing, one of Britain’s most important contemporary artists and a Turner Prize winner who has exhibited extensively internationally. 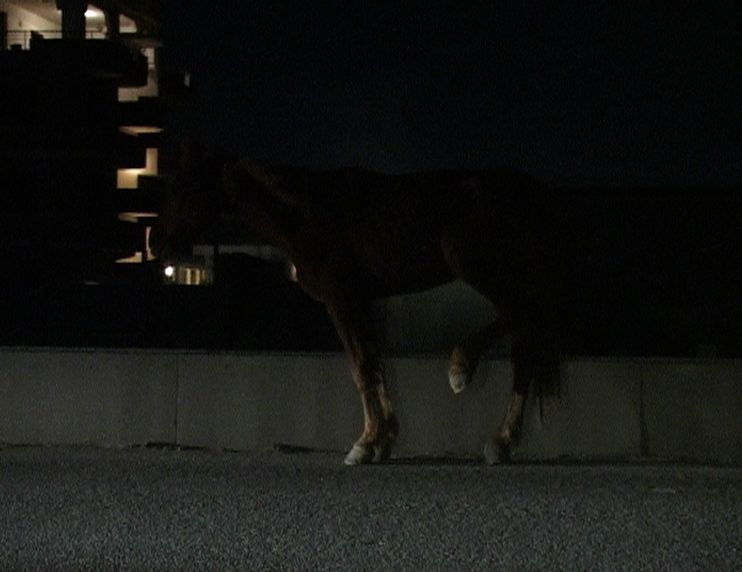 Albanian born artist Anri Sala’s acclaimed video work Time After Time, featuring a horse trapped on a Tirana motorway, repeatedly, heartbreakingly raising its hind-leg (see photograph below). 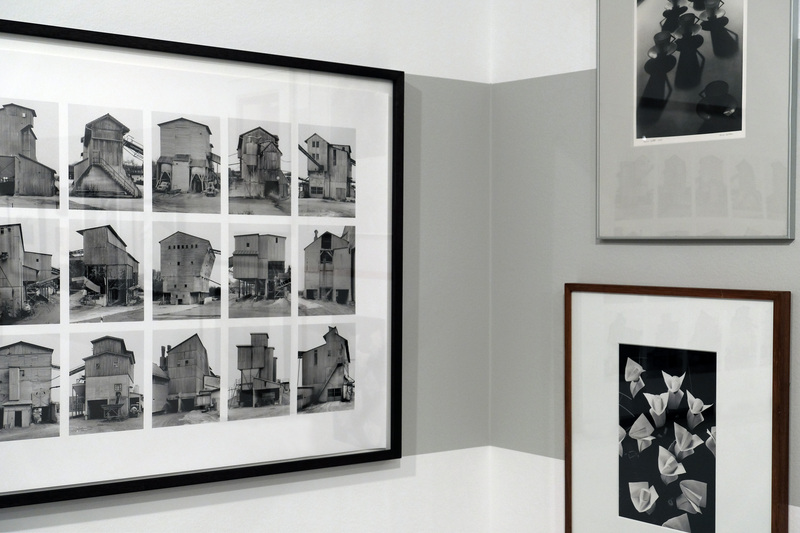 Anri first came to acclaim in 1999 for his work in After the Wall, the Stockholm Modern Museum’s exhibition of art from post-communist Europe, and his work is characterized by an interest in seemingly unimportant details and slowness. Scenes are almost frozen into paintings. 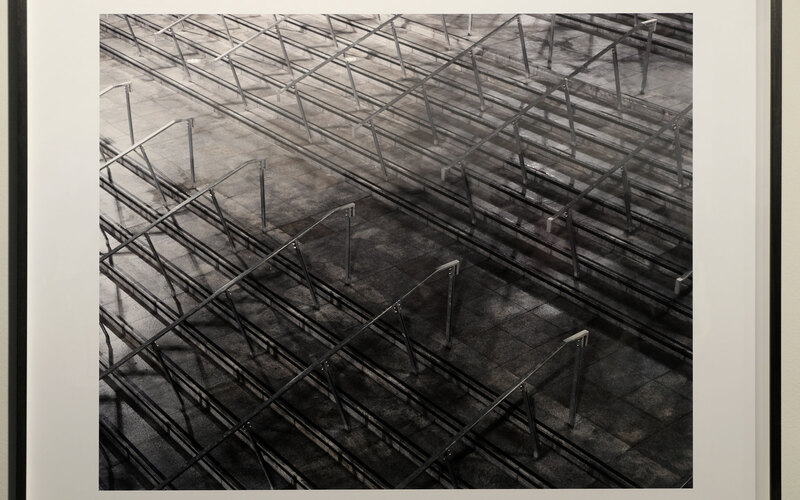 Peter Kennedy’s Seven people who died the day I was born – April 18 1945, 1997-98 – a work from a series begun by the artist following the death of his father which connects individual lives with political and historical events. 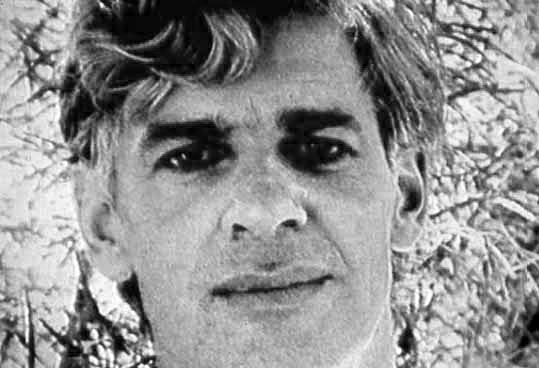 Kennedy’s birth in the last year of World War II and the seven people memorialized imply the multitude of others that died during this catastrophic event as well as the perpetual cycle of life. 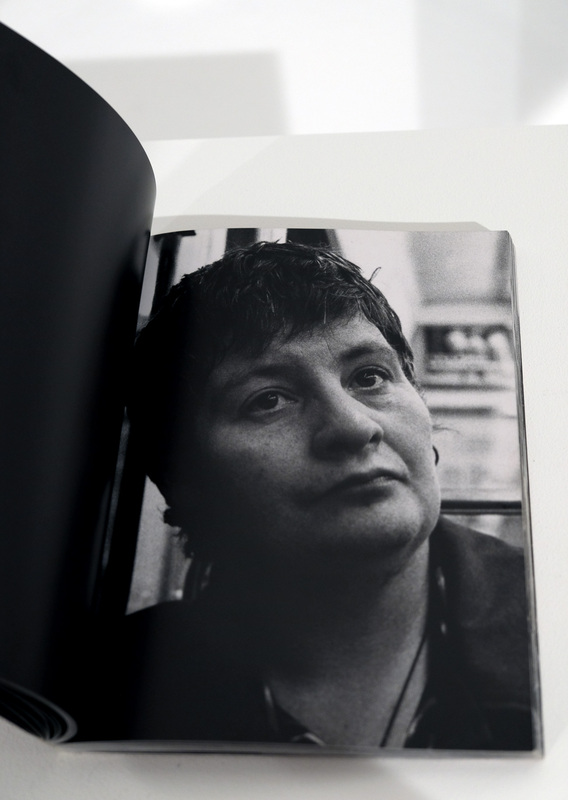 A series of slides collected by British artist Louise Short, offering a beguiling insight into the everyday lives of everyday people accumulated as a life narrative. 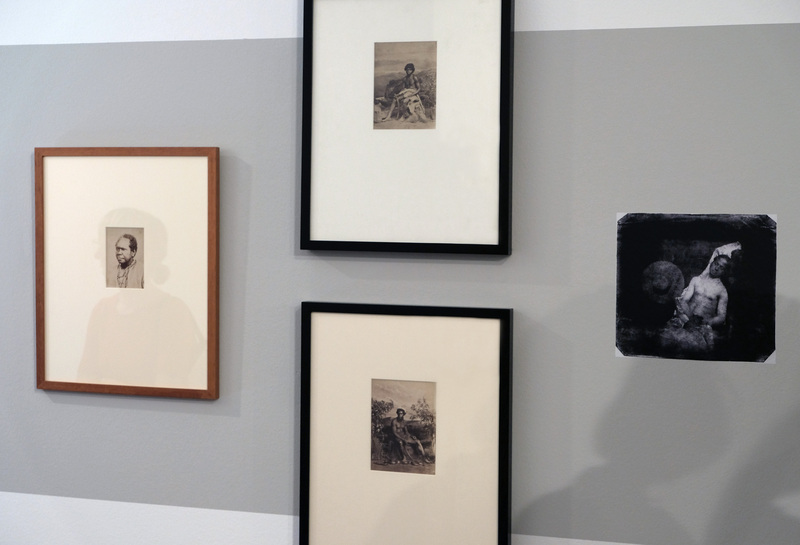 Acclaimed British artist Tacita Dean’s Presentation Sisters, which shows the daily routines and rituals of the last remaining members of a small ecclesiastical community as they contemplate their journey in the spiritual after-life. 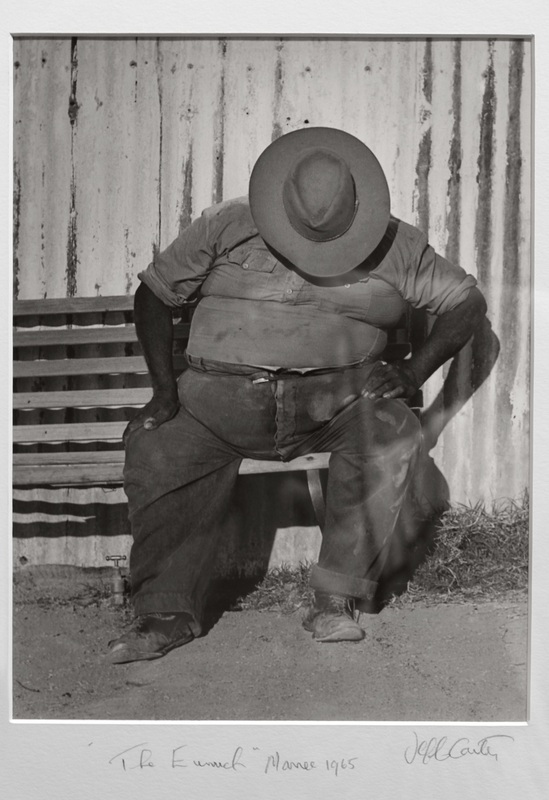 Three works from the Time series by influential Australian photographer Sue Ford, who passed away last year, will also be shown. 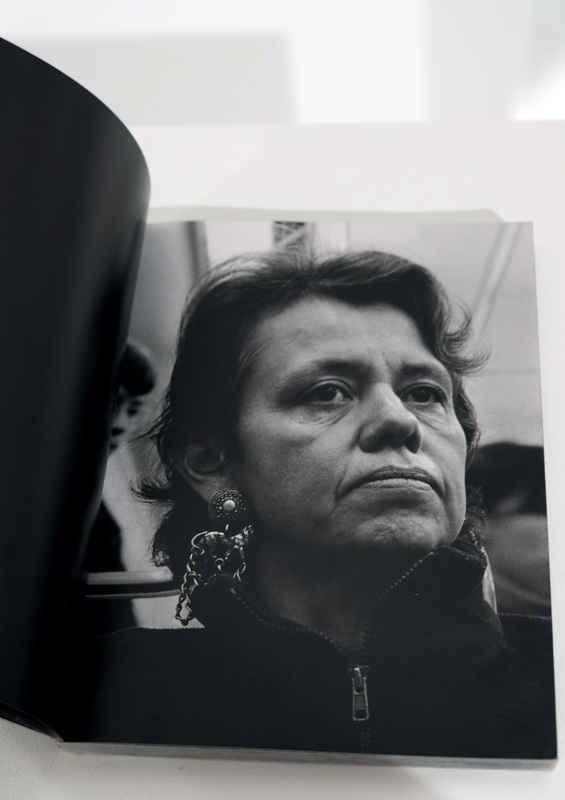 The photographs capture the artist in various stages of her life. 1. Mann, Ted. 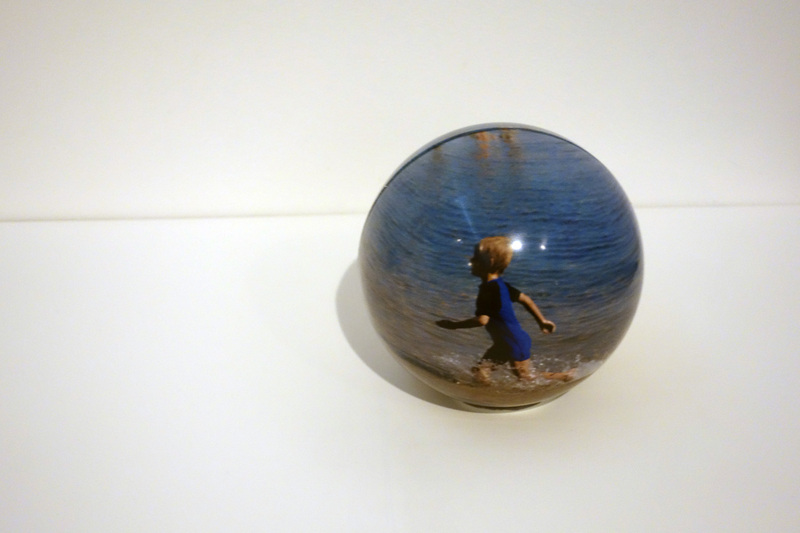 “Self-Portrait at Three Years Old,” on the Guggenheim Collection website [Online] Cited 12/11/2010. 2. Anon. “History,” on the Blackburn South Sharps website [Online] Cited 12/11/2010.